We apologize for the big downtime Monday afternoon and night. Our service provider had a massive problem and everything went away. Throughout the day we will now be restoring various areas of the CIC. Critical backups such as the front page news and Crius forums are less than 48 hours old, so it shouldn't take too long to recreate the missing stuff. Since most of the staff also begins heading to Atlanta for DragonCon in the next day, some parts of the site may not be restored until next week. Kris is staying behind to clean up the mess, and it's possible he could get everything sorted sooner than that. Solsector accounts and email forwarders may be acting weird for a little while, but we'll try to shape things up before the convention. Thanks. 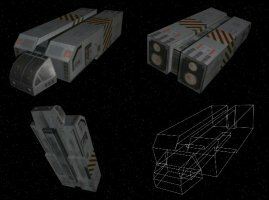 What happens when talented people from multiple Wing Commander mod teams come together to work on a clearly defined fan project? It might get done quickly! 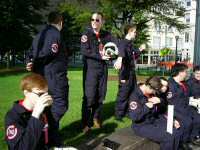 Most teams spend a lot of time searching for crew members, writing status updates and planning the design for their project. 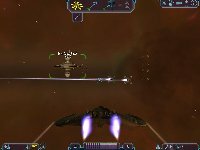 Not long ago, the Privateer Remake Team got together with the simple goal of recreating one of the best Wing Commander games around. They chose the tried and true Vega Strike engine and got to work. Their core game is now complete, but they want a larger group of people to hammer out bugs so that the full release is an awesome experience. If you're getting excited, go ahead and grab this wallpaper. The Privateer Remake Team has finished the remake of Privateer. The 3d modelling art has been done by Brad Mick (as featured earlier on Wcnews.com), textured by peteyg, as well as a Stiletto by Eder, the Demon and Paradigm by DMJC, the Orion by Mamiya0taru and many other artwork contributions, which we will enumerated in the final release. The playbalancing and ship stats have been accomplished by Mamiya0taru, and the animations and sound and speech nodes by johnC. 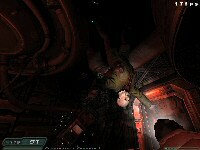 The remake is built on top of the Vega Strike engine programmed by ace123 and hellcatv. The engine has an all new new campaign system which supports all the campaign missions in the original Privateer, from Tayla to Rygannon to the demise of the Drone. Please send mail to privater@gmail.com (the name of the privateer executable, 8 characters) to become part of the private beta so you can help us determine when it should be released. All features in Privateer should be equally present in this current beta--it just has not been tested in a widespread manner yet. Make sure you include your system specs and a bit about why you want to test the game. They're looking at 700 MHz systems with GeForce 2 Ultras as a minimum, though higher speed systems are recommended. Following on from the opening of our store last week, Kris has made it even easier to spend money. We now have a basic basket and checkout system in place so you don't even have to email us to buy stuff. Remember, prices include shipping within the US, but if you live somewhere else we'll email you with the shipping cost. So buy stuff now. On a related note, the first batch of prizes and merchandise will be arriving today or tomorrow. Don't worry if yours doesn't, we haven't forgotten you. 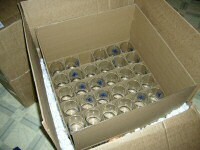 We're just waiting on delivery of a huge roll of bubble wrap and a hundred boxes. Daniel Brito from the WC Battle Stations team let us know that work has been renewed and the fan project is still in progress. We look forward to some new screenshots soon, but in the mean time, he has made a fun wallpaper featuring a Hornet and the WCBS logo. Both 800x600 and 1024x768 versions available. 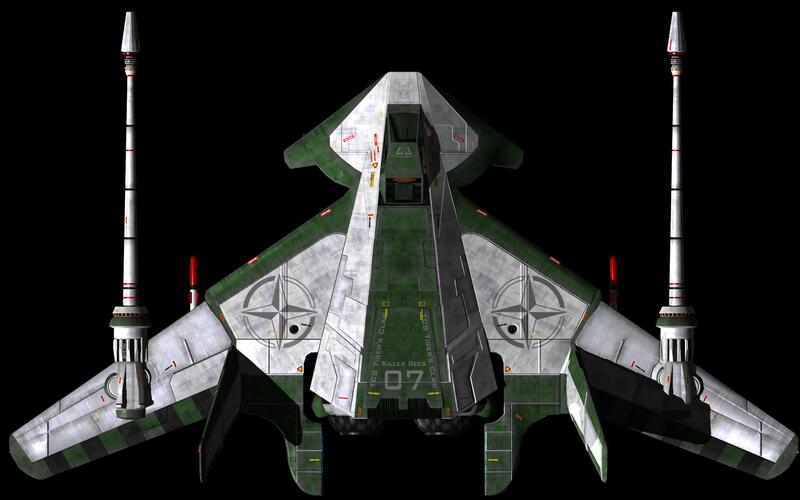 The Hornet design was hammered out by Howie Day and Tolwyn. Mr. Day's great 3d model is available to download here. ChrisReid: Blonde, Frosty and I signed up to donate blood, but we chickened out and never showed up. It's a good cause, but the blood room was creepy. A cookie and t-shirt weren't enough to convince us needles were the right way to go. How the hell did Death end up running a blood drive? Weird. I wasn't allowed to give blood because I'm a foreigner. Their loss. 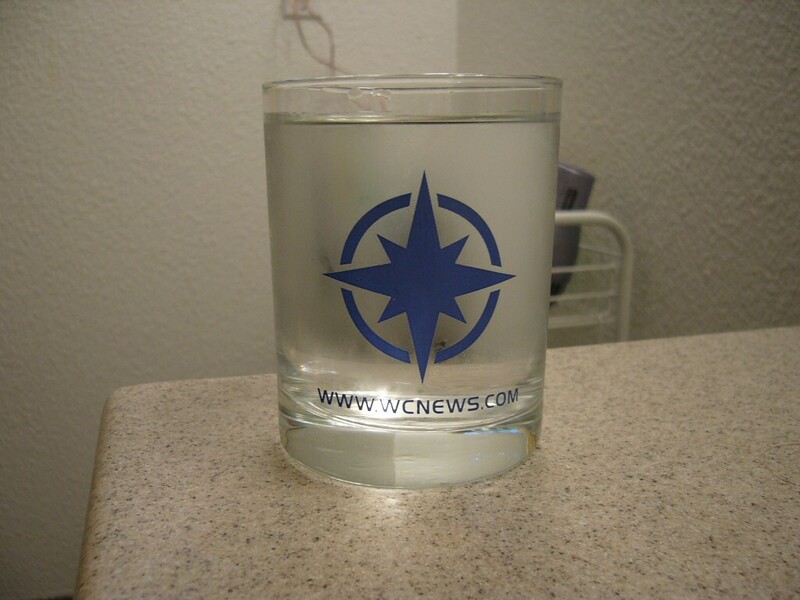 Tolwyn of WC Saga fame brought to our attention their April Fools joke from this year. We tend not to report on these jokes unless they're our own or we've been fooled ourselves, but this one is different. 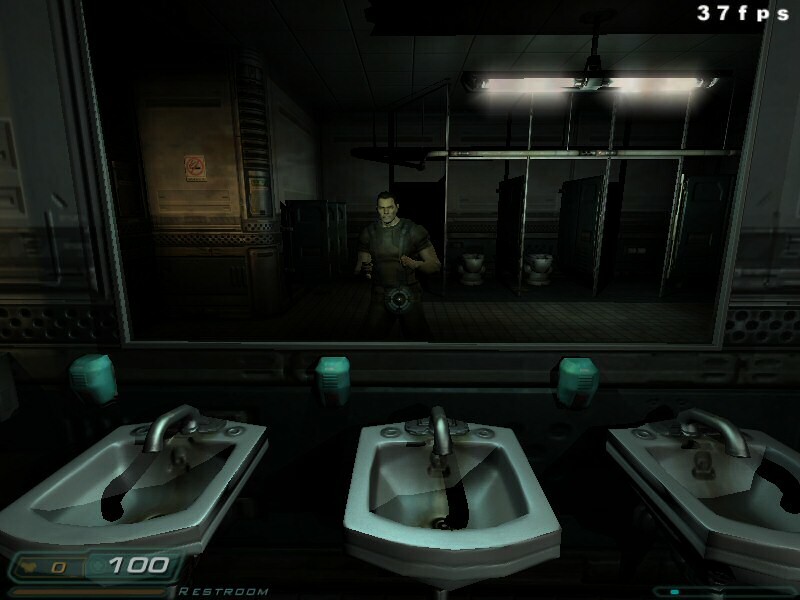 At the time, the Saga team released what they claimed to be the demo for the mod. It was of course not the demo, but it was something of an early preview for the mod. 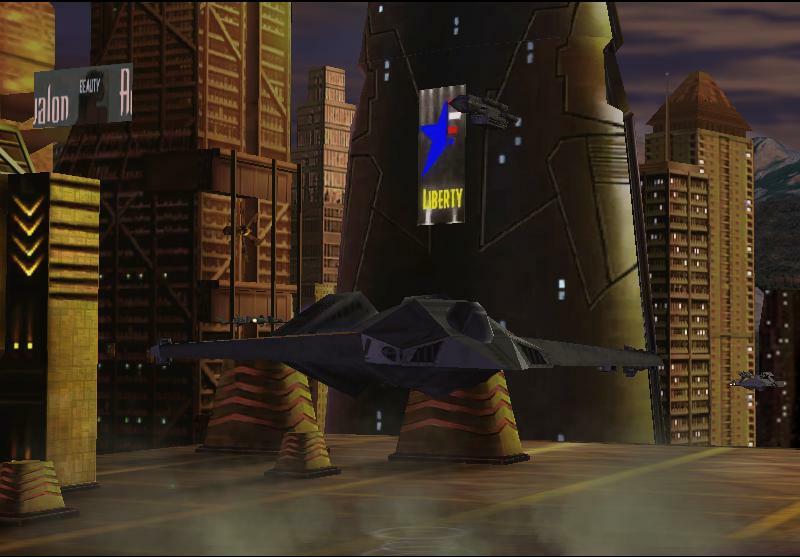 The "demo" contains the first mission you fly off the Lexington in WC4, recreated in the Freespace engine. 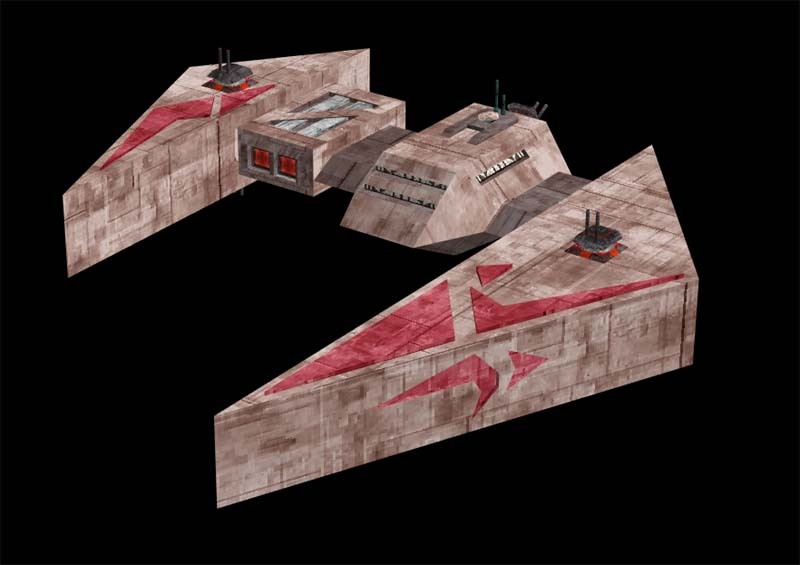 The second mission is an original design, and contains some very strange dialogue between some Kilrathi pilots. Sadly we ran out of time to play so there may well be more surprises in store, but we'll leave those for you to find. You can download the WC Saga April Fools joke demo (104MB!) here. 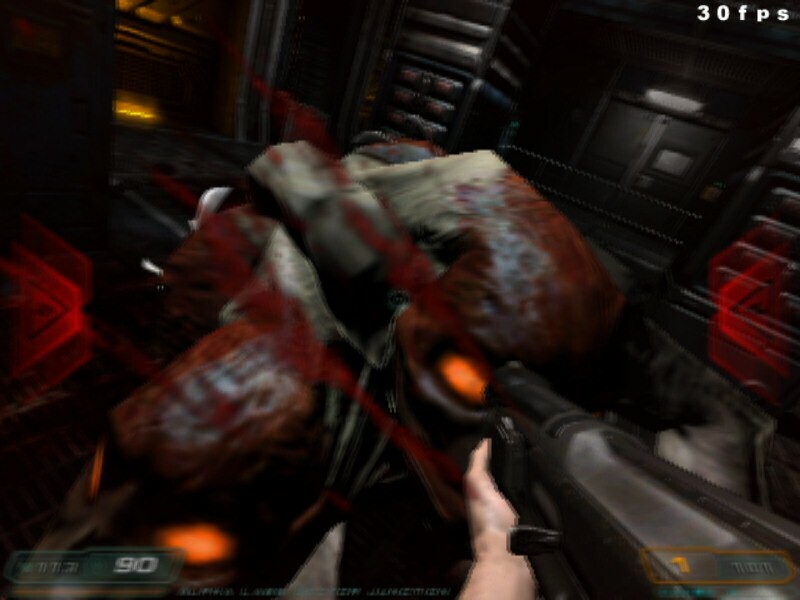 The download is so big because it contains the original Freespace 2 demo which is required to run the mod, and also a WC Saga trailer. Don't forget to read the readme.txt file contained within for installation instructions. 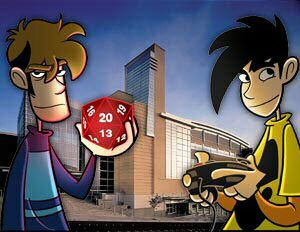 The Penny Arcade guys are holding a multipurpose gaming convention this weekend. JustinS, Hades and I will be there on Sunday. Send us an email if you plan to attend and want to hang out. If you're in Western Washington in the US, it's only $15 for a one day pass and there'll be tournaments, movies, guests and a lot of new games for show. I'd like to see more of Ghost Recon 2 and Halo 2. Last year at their first gathering, we showed the PA guys what Prophecy Advance was all about. They've had a passing interest in Wing Commander for quite a while. Ghost, kaleph and a few others have noticed that after the recent irc IP Switch, South Americans are once again able to join #Wingnut. So if you're from Brazil or Argentina and have been missing us, download mirc or try the web interface. Thanks to the all-new CIC Archives you can now follow the evolution of the Wing Commander movie's script! We've just finished scanning Kevin Droney's First Draft (133 pages, 33 mb), which was written way back in 1995 (10/27/95)! It's very different from the later versions: it features many different proper nouns (Angelica "Angel" Devereaux), a strange callsign for Blair ("Dodger") and a very unusual twist on the traitor subplot. The previously scanned Second Draft (9/21/97) and the Third/Shooting Draft (1/8/98) are also available. 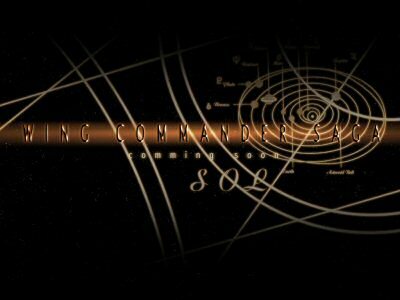 Along with the original Phoenix Pictures Memo, you now have all the tools to decide what went right and what went wrong with the Wing Commander movie's story! 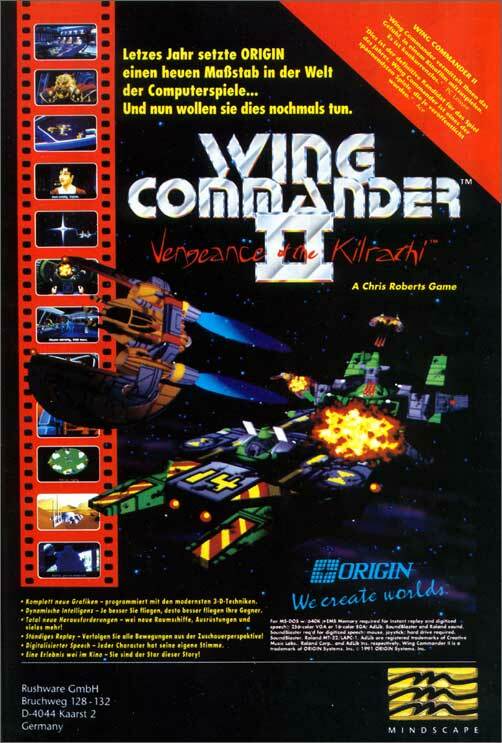 If you've got anything Wing Commander related that you think should be archived, contact loaf@wcnews.com. I've just moved to Austin, so I'm happy to take care of picking up and returning anything! We've been accepting orders for our various products for a little while now, but we've finally got around to making a nice store front for our wares. It's not fully automated at this point, but we prefer email anyway. Take a look at what we have to offer, and drop us a line if you'd like to order. 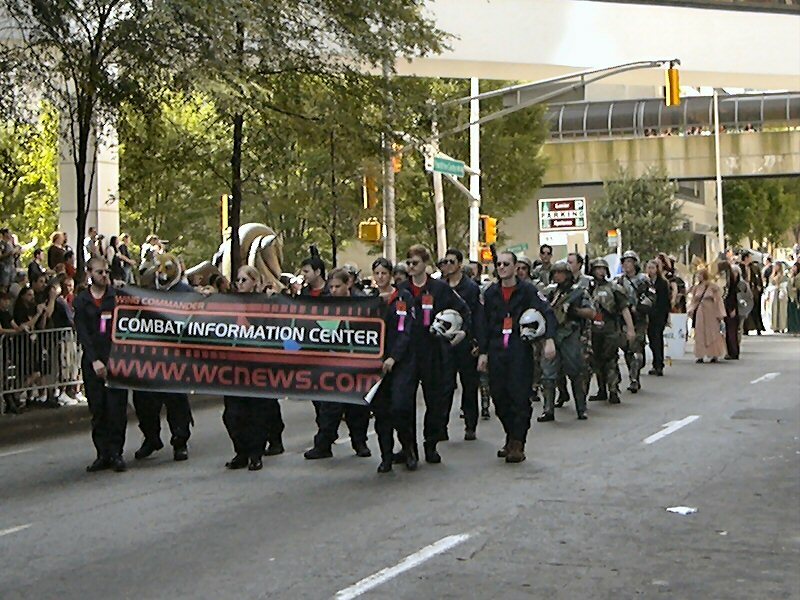 It's just one week until we arrive in Atlanta for the 2004 Dragon*Con meet up. Here's a fun group shot. Most of us get together for a group dinner at Champions the first night. It's a pretty decent place, and not having to go outside to reach it is a plus. Here's a bonus picture Kris found at Darth23's. Great angle on the parade. Coincidentally close to Dragon*Con, some Freespace fans in Poland are hosting a tournament this weekend. 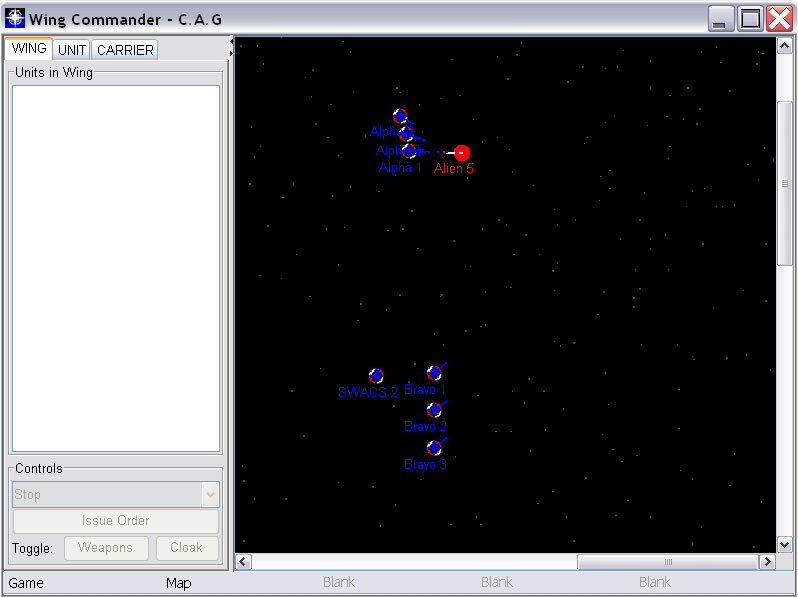 They've got computers linked up with Freespace 2 running to engage in solo dogfighting, team matches, and cooperative play. A trivia competition will also be held. The official site for the event is available in Polish or English. A few pictures from their last event are also online. There were two editions of this meeting already - last year's FreeSpace Summer Meeting I (FSM I, August 2003) and FreeSpace Winter Meeting (FWM I, January 2004). Just like the other two meetings, FSM II is going to take place in Bialystok (North Eastern Poland). Many tournaments and competitions are taking place on FSM II. Yet the biggest attraction of this convention is a chance to meet many people you knew before only from the Internet. Meeting is open for anyone interested in what was said above. There is NO Entrance Fee. We guarantee 24 hours of great fun during each day of our meeting. Hmm.. well.. we guarantee 25 hours of great fun each day at Dragon*Con! We've just discovered that the host for our IRC server has moved our server to a different IP address. It would have been nice to be warned about it, but can't be helped. Until the DNS changes have taken place, you can connect to IRC by setting your client to connect to straight to the IP address 64.18.140.192. Cyberion has been busy since he released his last model. He has not one but three new models for you to play with. 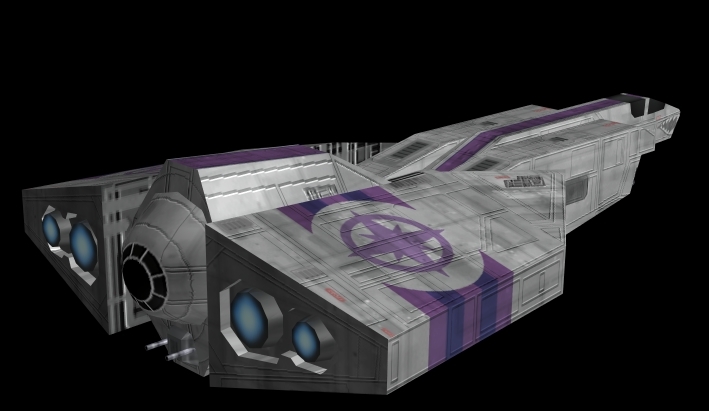 They are all based on the Tallahassee cruiser, but two of them have been specially modified for the HTL team. Well, in the middle of August I was contacted by Raptor, the guy behind the "Holding The Line" WC related sites and I was asked if I'm willing to contribute anything to the further development of HTL sites. We spoke about 3D models of course. 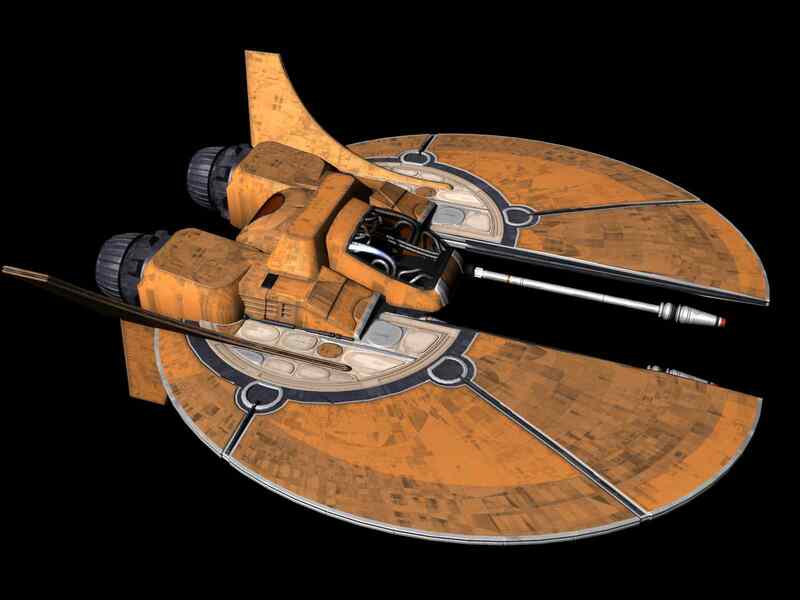 Well after short discussion I agreed on helping Raptor to create some nice looking images of different WC ships. Those images required the models of course. 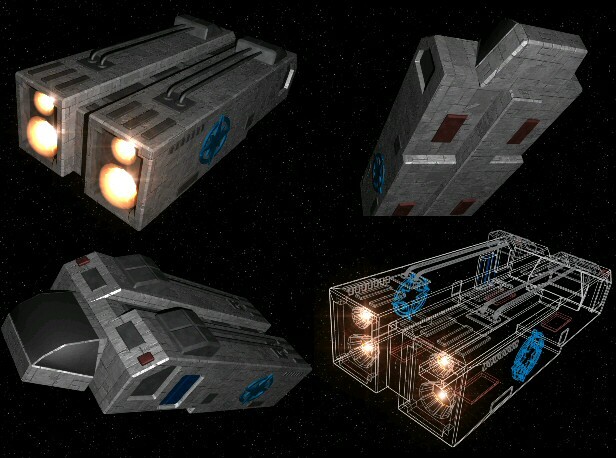 So my first task was to create 2 cruisers based on Tallahasse design. 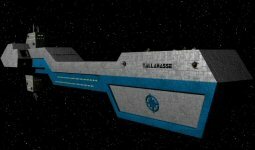 Well I didn't have any of the Tallahasse type cruiser, so I spent a few day creating one. I've made low-poly count model to use in various games-mods-whatever and the model with a little bit more detail. 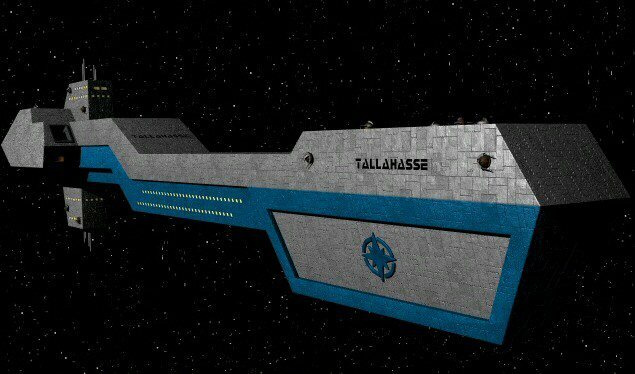 When I finished the Tallahasse model, I began my work on those 2 new cruisers. 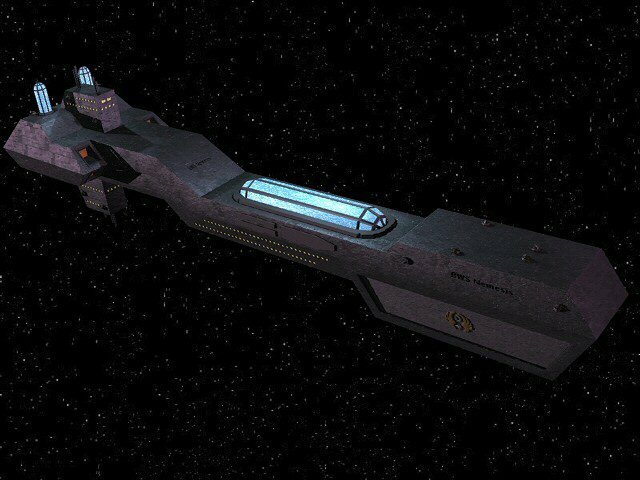 First one was Barham class cruiser, which is 1/3 bigger than Tallahasse type itself. Second one was Stealth Cruiser - Nemesis, which pretty much kept the original design of Tallahasse except some additional parts, which make you to understand that its really the Stealth Cruiser. You can download the model files here. Mike99 saw a picture of Saffron Burrows in my recent prize collage and asked that I put up a larger copy. I've gone ahead and scanned it for everyone here. 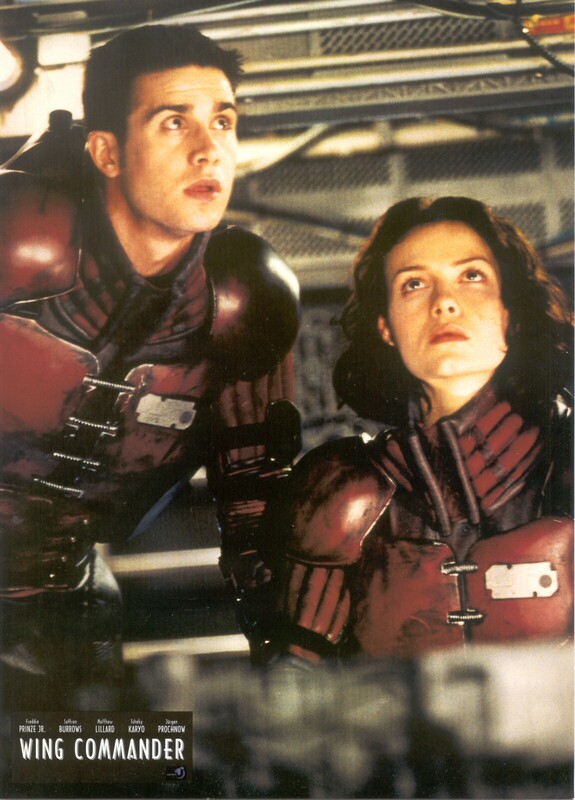 Burrows and Freddie Prinze are aboard the Diligent preparing to board the Kilrathi Comcon. Good times. What are they looking at exactly? 3Map Games development company is pleased to announce that the work on beta of Homeplanet: Play With Fire is complete. 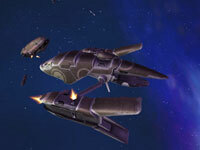 The much anticipated Play With Fire is add-on to the original HomePlanet, award winning spacesim of the 2003 year. Players will take a role of young Clan Leader's nephew, who will ensure the security of the new Clan's home planet. 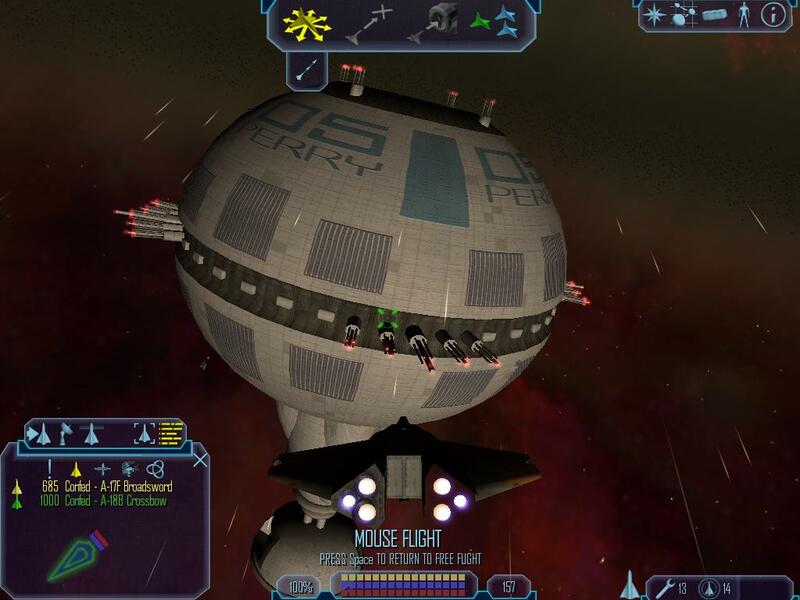 The add-on contains not only new storyline, new heroes and space ships, but long awaited multiplayer mode. With the Play With Fire players will be able to challenge their piloting skills battling other players via LAN or Internet. The company is still looking for a publisher for North America and Europe. More screenshots and a demo can be found on the website. Some of their ships remind me a little of Wing Commander and Freespace designs. 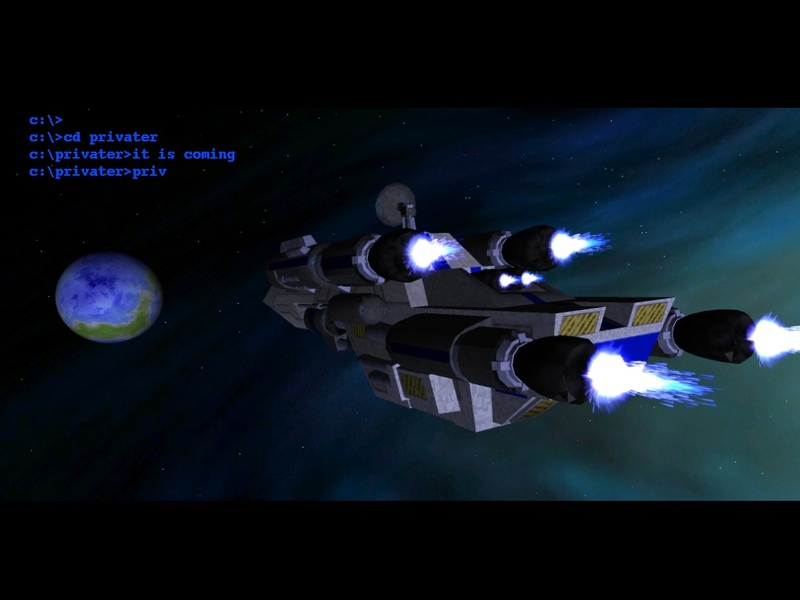 Homeplanet is a classic space combat simulator, based on a real Newtonian physic model. 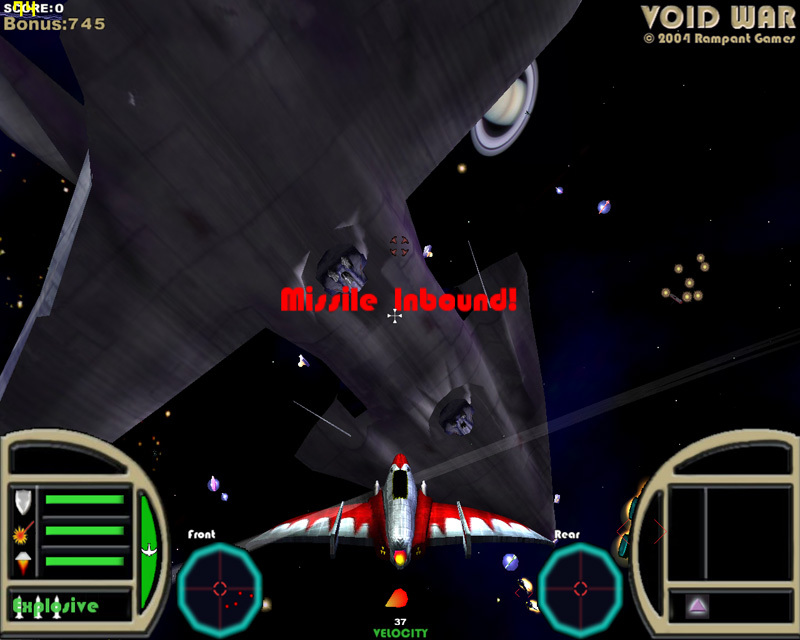 Some similar games: X-Wing series, Wing Commander, Freespace. The gameplay will take approximately 30-40 hours, while the possibility to take alternative missions may extend the time. Dijkman has another drawing for everyone. He's put a lot of thought into this one. It is a bit light, but it shows a hellcat coupled to a pair of generators (for the lasers) in a hangar bay. The pilot in front has another flight suit compared to the one worn by Space Force pilots. This is because the pilot in question is a Marine pilot. Also the helmet features an additional sun protective visor for orbital duties. It's just one month now until our sister space sim, Earth & Beyond, closes its doors. The massively multiplayer game has been in operation for just two years, and EA is closing it to focus on other games. As we reported yesterday, the sim only reached about 40,000 subscriptions. I remember it was just 2002 when we were reporting on beta signups. They were accepting up to 100,000 players for that. Massively multiplayer games can be risky, but E&B had a very devoted fan base who'll miss it. Q: What happened to the devs? A: The E&B team is being moved onto several other projects, most notably Ultima X: Odyssey. Visit http://www.uxo.ea.com for more information. Things are starting to come together now. 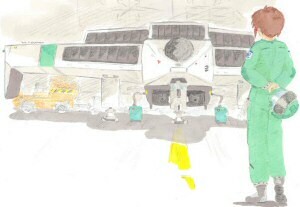 In a few hours Hades boards a plane for the beginning of his annual Wing Commander vacation. 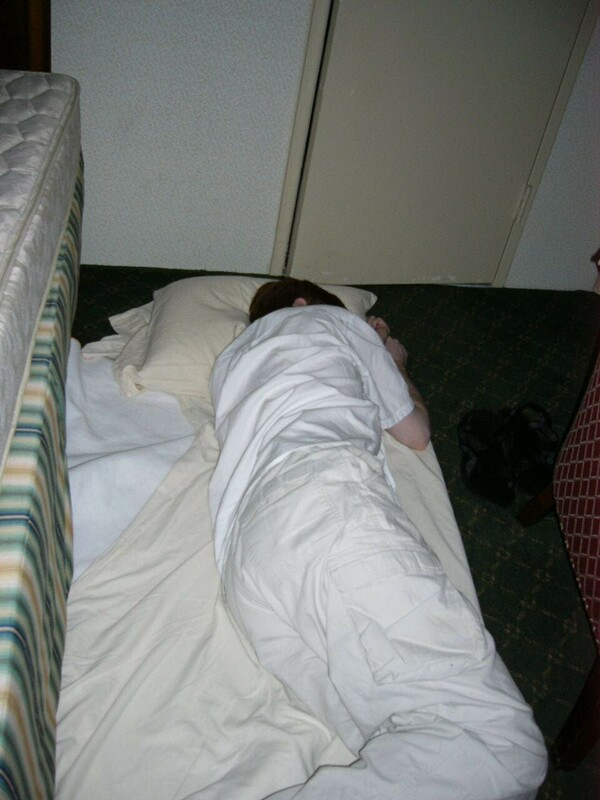 Here's another memorable moment from the 2003 Dragon*Con. 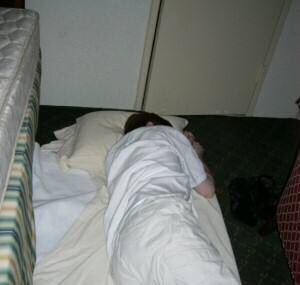 This was Death's preferred sleeping spot next to the connecting door between our hotel rooms. At one point after the lights were out, someone tried to go from Room A to Room B and came across some sort of obstruction. The door wouldn't budge, so we went around to investigate. And this is what we found. Good thing we didn't try to force the door, or Death would've had a concussion. Slashdot recently ran an article that featured a subscription analysis for various massively multiplayer games. It's interesting to see where they all actually stand relative to one another over time. Although Slashdot killed the original page, a mirror has surfaced here. The Korea based Lineage game stands above all others at nearly 3 million registered users. Lineage II has nearly half that already, but again, these are mainly in South Korea. For mmo games that are more popular in North America or Europe, Everquest and Final Fantasy XI each carry around half a million subscribers. Star Wars Galaxies, Ultima Online, Dark Age of Camelot and Ragnarok Online both come in at about a quarter million. Since the charts go back all the way to 1997, it's interesting to see how UO was the lone player for several years until Everquest and Asheron's call became popular. EA's Motor City Online, which was shut down last year, shows a clear peak and decline, as does the Sims Online. Earth & Beyond, which EA will be shutting down later this year, doesn't seem to have passed 40,000 users. 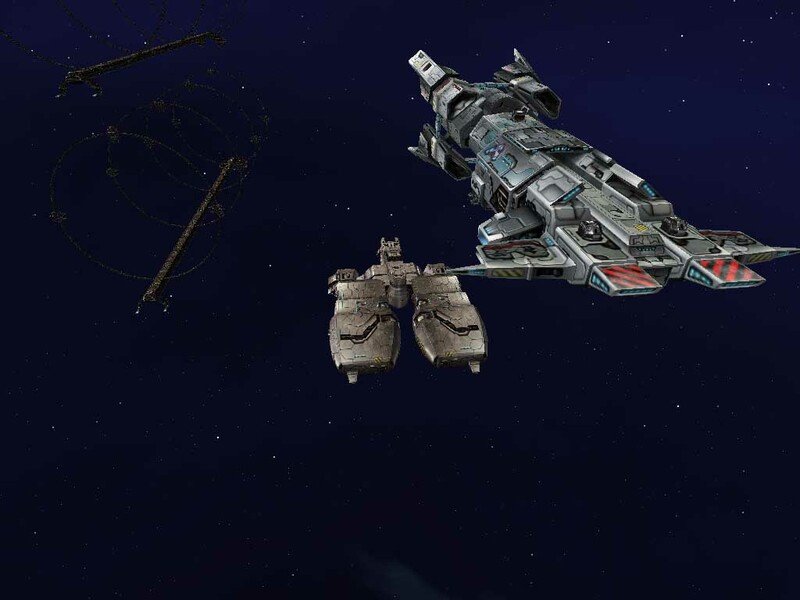 The space sim Eve Online is showing steady growth to 50,000, and there is no data for NetDevil's Jumpgate. You can find the graphs for yourself here. 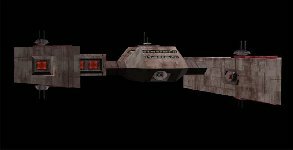 PeteyG has redone the main Wing Commander 2 song and the classic Kilrathi theme with higher quality instruments using Propellerhead's Reason 2.5 software. He's spent a few days taking feedback at Crius, and I think his versions have turned out pretty well. Each is only about 2 megs, so definitely give them a listen. The second track sounds even better when you look at this picture. 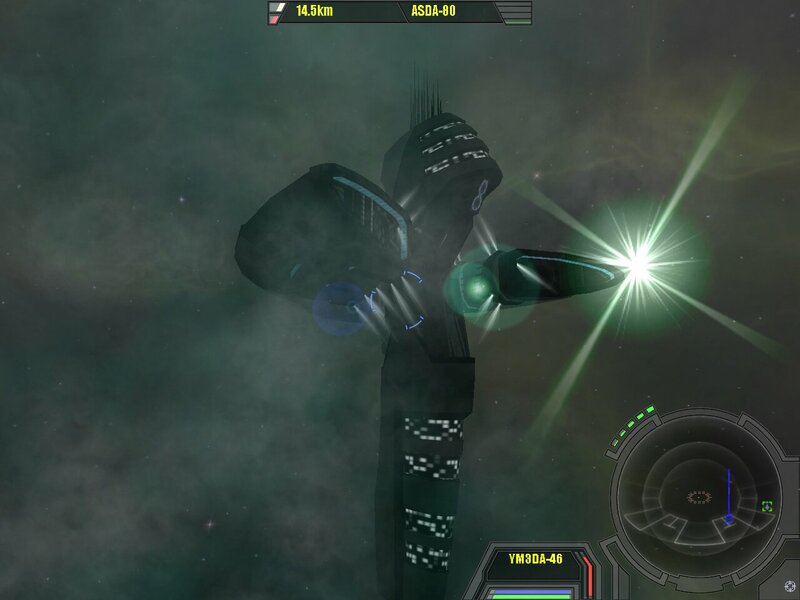 A post over on the Egosoft forums indicates that an official expansion pack to the German produced space-sim X2: The Threat is now in the works. Though I'm not a big fan of the X games, it's very reassuring that there is a space-sim out there which has sold well enough to make production of an expansion a viable option. 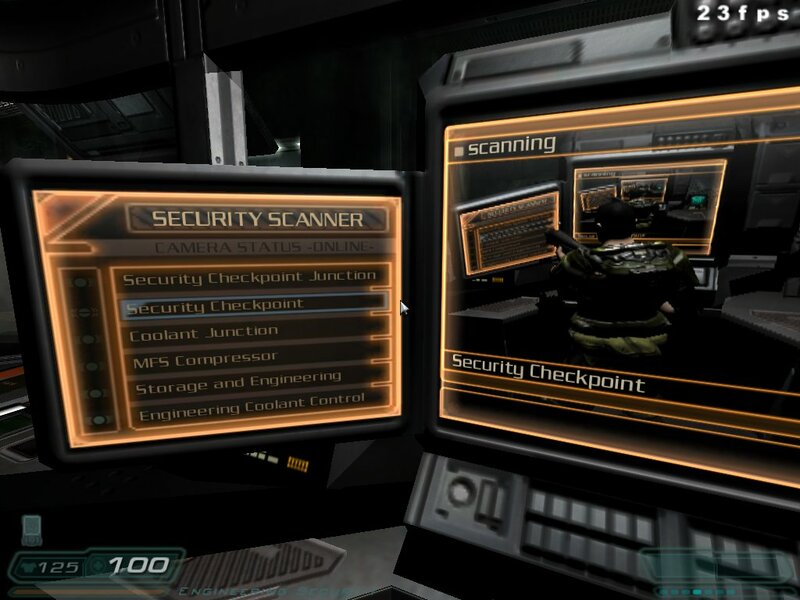 The original game, X-Beyond The Frontier, also had an expansion pack called X-Tension. The X2 expansion will be called X2: The Return. Am I the only one who thinks that the names of these games are horribly cheesy? 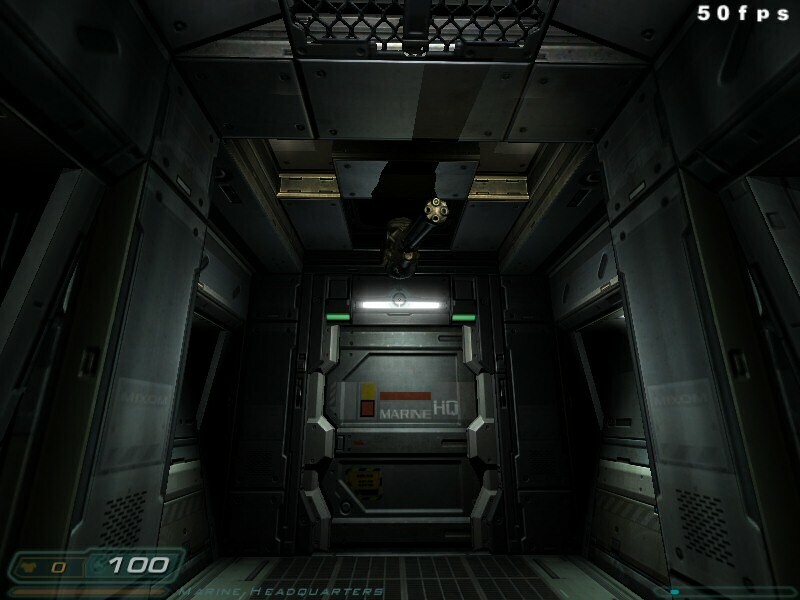 You can find the post containing the official announcement and an interview with Egosoft's Bernd Lehahn in this thread on the Egosoft forums. 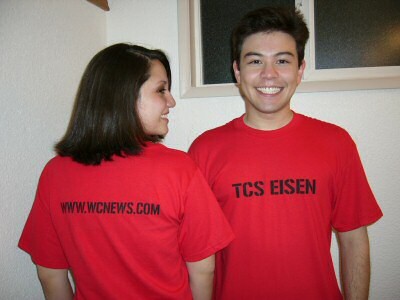 Just in time for DragonCon, we've gotten a batch of red TCS Eisen shirts to wear with our flight suits. We'd like to make the extras available to everybody else. We chose TCS Eisen for the same reason the designers of Wing Commander Prophecy originally created the ship. At DragonCon our home carrier honors Jason Bernard, who passed away between the filming of Wing Commander 4 and Prophecy. Including shipping to US locations, the price is $12. International shipping and 2XL/3XL sizes will add a few dollars. Send us an email if you're interested in ordering an item. The popular CIC Glasses from the Birthday Party are also available. These are $8 each including US shipping. We still have CIC Polo Shirts for $20 including shipping to the US. Some sizes are running low, but we expect an additional shipment of these soon. We wish we could provide some sort of discount if you order multiple items, but the items are already sold at pretty much break-even. All orders get a complimentary CIC Pen however. Payment can go via Paypal or regular checks. Most people who won a special gift at the CIC Birthday Party last week have sent in their addresses, but I have a few outstanding that need to be collected. Send us an email with your address to claim your prizes. If you missed the party, the chat logs are up. We're just two weeks away from our fourth annual Wing Commander fan meet-up in Atlanta at Dragon*Con. Over the next couple weeks we'll highlight a few of the fun times we had last year. You can check out our 2003 gallery here. All pilots up, this is not a drill! LOAF: You've got us: Dragon*Con was all an elaborate excuse to watch girls change clothes. Tye: Like an idiot or a true fan (you decide), I was humming the scramble music from WC1 right here, and it kept going until several hours later. 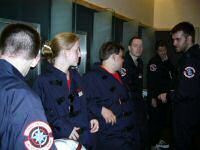 ChrisReid: It doesn't get much cooler than suiting up in Confed flight suits with other Wing Commander fans. I'm really excited about the 2004 gallery. This year we'll have more cameras, more experience taking good pictures and a new plan to get the gallery to you in a timely fashion. 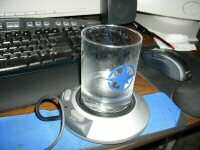 I just got a new drink warmer. Who knew these things existed? Electronic Arts has announced its sales figures for the first week of the Madden 2005 launch. Madden NFL 2005 sold more than 1.35 million copies at retail stores within the first week, making it the biggest week one launch of a Madden NFL Football game in the franchise's fifteen year history. Additionally, over 300,000 new accounts have been formed for the online PS2 and XBox versions. Theunis Dijkman sent along these images from a WC comic that he was planning to make. 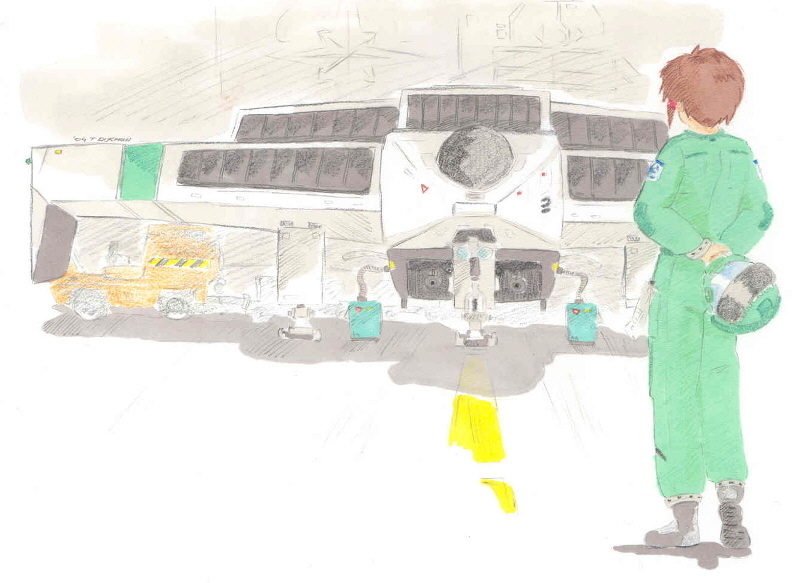 Sadly it sounds as if the project has now been abandoned, but these are some pretty neat sketches. 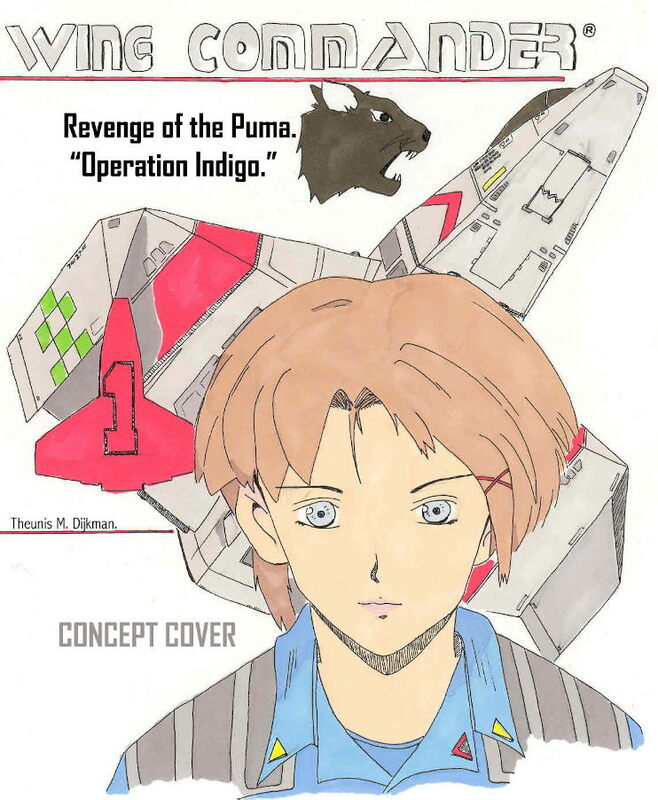 The first is a 'cover' art of the comic showing the main character with a hellcat behind her. ZXDemo.org is the place for fans of the ZX Spectrum. 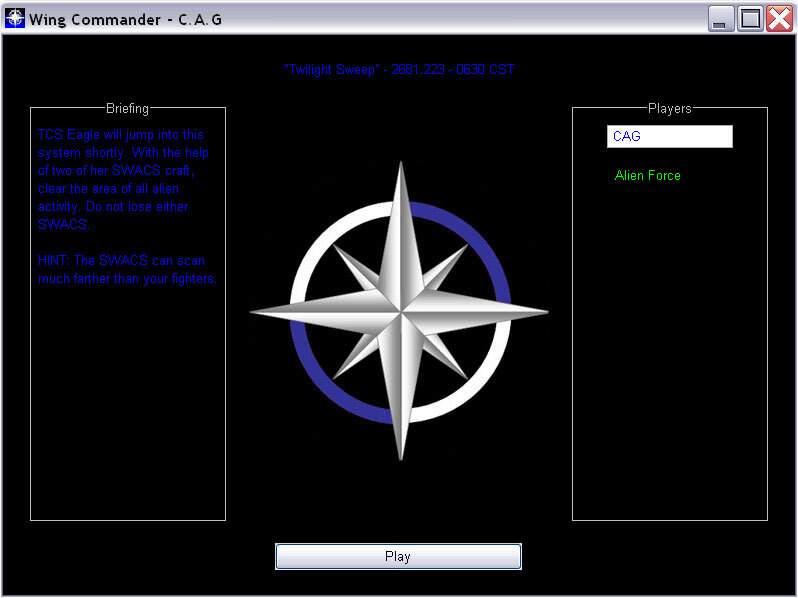 While TC was exploring their site, he found a Wing Commander 2 inspired creation by Erik Augustín for Demobit 95. I think it might be a picture drawn by assembly code on old hardware, but I'm not sure. It might just be a random picture drawn on a Spectrum ZX, which seems to be their platform of choice. Mmm.. Now those were my favorite Kilrathi. Doesn't that take you back? The consumer version of the Windows XP Service Pack 2 is due out soon, and one of the new advancements will be an internal firewall that will flag a wider range of data than previous screens. Microsoft has announced that this will have an impact on a number of internet accessible programs, including a number of the recent online enabled PC games by Electronic Arts. 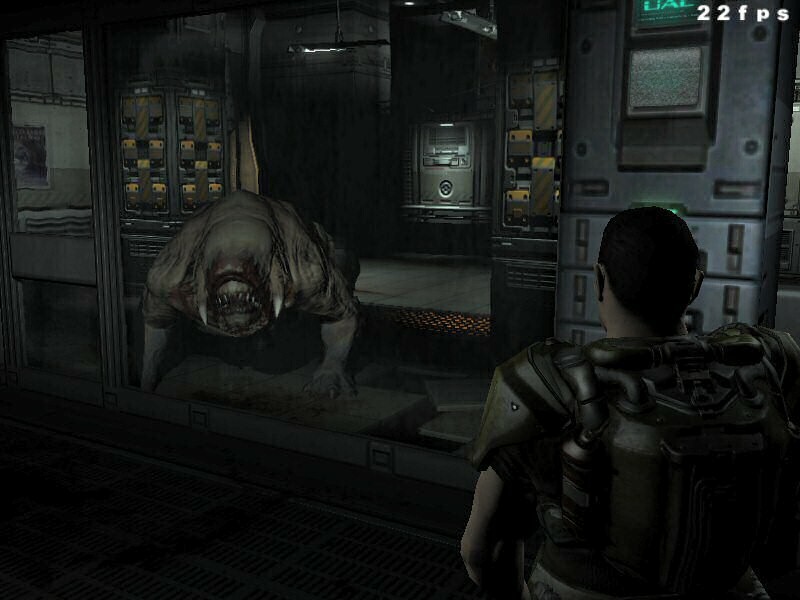 Although some workarounds and patches are expected, many users will have to disable the feature to make their old games playable. This problem will be somewhat lessened as more people transition to routers with built in firewalls and as newer games are built around the SP2 architecture. A complete list of the affected software can be found here. The high profile Need For Speed Underground doesn't appear on the list, and certain games have a version denoted. Unfortunately it appears that C&C Generals might have some issues with the new software. Dennis Weidner tipped us off about some broken links in our Secret Ops fiction index last week, and LOAF did some research to correct those errors and rounded up a couple things that were originally missing. Thanks to our fighting men and women, the SO Fiction Index isn't only fixed... it's more complete than ever! Would You Like To Know More? If you'd like to read the backstory to Secret Ops, check out the index here. At the bottom we've added the Blue Horizon Lost Fiction and the Newsgroup Lost Pre-Fiction. LOAF's currently on the way back to Austin, so don't expect to hear from him this week if you've recently sent him something. 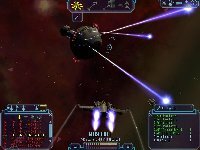 A pair of sites have recently conducted interviews with Jay Barnson, lead designer for Void War. Game Chronicles Magazine did a thorough interview about many aspects of the game, and GamePike questioned Mr. Barnson about the origins of the game and overall setting. 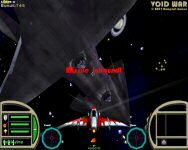 Void War is somewhat experimental in a lot of ways, and probably owes more of an ancestry to games like Asteroids, Spacewar, Descent, and Wing Commander. We do have pick-ups in Void War, however, which will inevitably draw comparisons. But while I was loathe to put them in at first because they were 'unrealistic' - quite frankly they increased the fun and challenge of the game by an order of magnitude, so they were just The Right Thing To Do. The EA Premium Pass we mentioned last week has gone live now. Yes! Sign me up for EA SPORTS Premium Pass presented by Dodge for Madden NFL 2005, FREE through August 1, 2005. I understand that because Dodge is presenting EA SPORTS Premium Pass, regularly $19.99, my credit card will not be charged until after August 1, 2005 and that I have the option to cancel at any time before then. I authorize EA to share my EA account membership information with Dodge, and I allow Dodge to contact and/or present me with offers and promotions. Use of that information is subject to the DaimlerChrysler Privacy Statement. 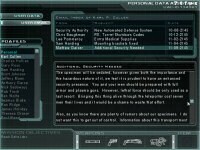 The pass highlights your name in the game, gives access to message boards and other content. A structure of this kind sets a new precedent, at least on this scale. It's quite a bit different than subscription based MMO games, and I wonder what sort of features will be leveraged in the future for first class customers. Following on from his interview with George Oldziey from a couple of weeks ago, Mat Tschirgi from E-Boredom has now has a chance to conduct an interview with George Sanger, AKA The Fatman, composer for the first two WC games. There is less of a focus on WC than there was with with Oldziey interview, but it's still a good read. E-BOREDOM: How did your collaboration with David Govett work for the original Wing Commander game for the PC? THE FAT MAN: Govett was, and even more today is, an amazing natural-born composer. He's refined his art so much over the years that it would blow anybody away. At the time that I was asked to do Wing Commander, Dave had only composed simple little boopy-beepy Nintendo tunes for me. I had no idea that he had had those two main Wing Commander tunes (the main theme and the dogfight music) in his head since high school. A few years back Event Horizon Studios ran a number of Lightwave contests. 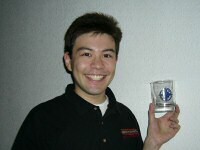 Richard Dziendzielowski was a runner up with a Dralthi creation. Done from scratch in LW 5.5. Fighter 36,000 polys, terrain 8,000 polys. Steamer fog and light (sun). This is my first LW scene. I hope you like it, thanks Rich. 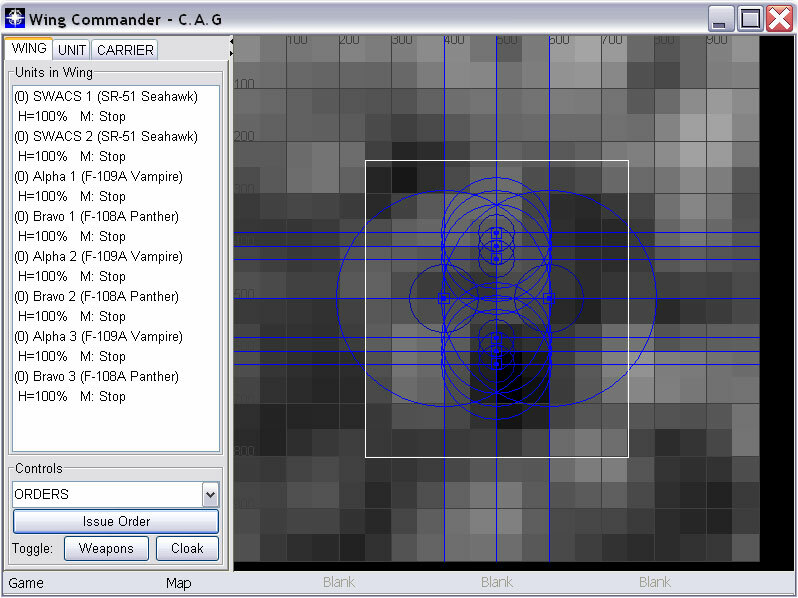 CasperXJ has released version 1.0 of his "real-time tactical simulation" set in the Wing Commander universe. The idea has been in preparation for a long time, and Casper prepped a starter pack for our birthday last week. 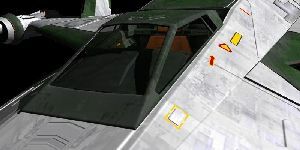 The Wing Commander series has always focused on the combat pilot. "Wing Commander - CAG" places you instead in the seat of a Commander, Air Group, responsible for several, perhaps dozens of fighters at once. It's Wing Commander on the next level. 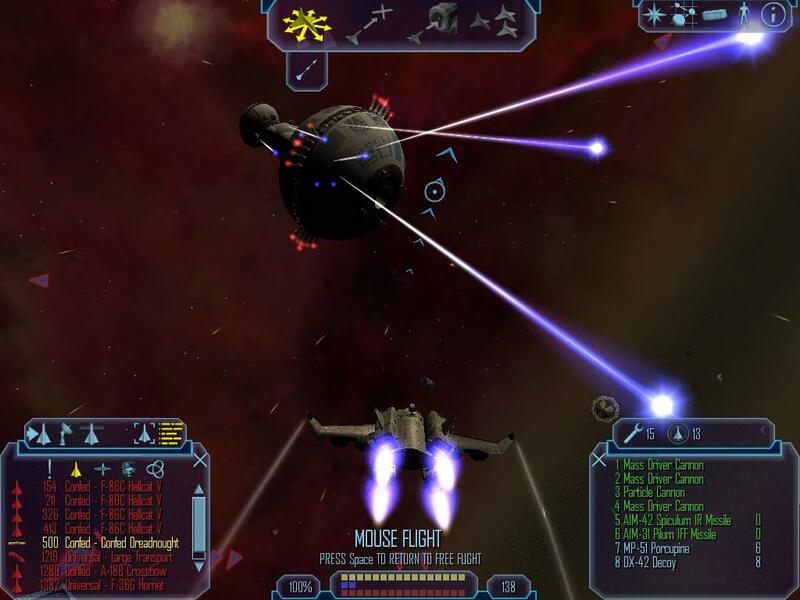 Four missions and dozens of ships and weapons are included with this v1.0 release. To play, you'll need a JRE (Java Runtime Environment) installed on your computer - go to http://java.sun.com for details. 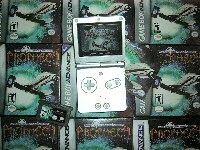 If there's any errors or crashes, contact me or post on my forum - you can never have too many testers. Enjoy! You can download the pack here (less than a megabyte). Don't forget that you also need the JRE installed as well. According to a thread on Scifi-Meshes.com, 3D modeller Howie Day is considering making a new game with the Vega Strike engine. He already has some concept designs up, which Howie says were inspired by Privateer. There are more pictures in this thread, though you'll need to register to be able to view them. This is another neat Birthday update that didn't make the Tuesday festivities. 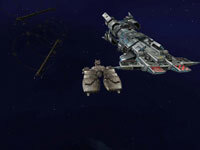 To coincide with the Standoff Stiletto release, psych and Jibbo have revamped the Joan's Fighting Ships area of the Fleet Tactics site. 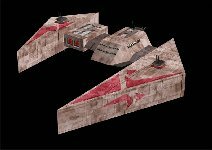 Most of the ships now have refined and upgraded graphics which look a lot sharper then their predecessors, and most of the WC1 and WC2 Kilrathi fighters and capships now have compilation pics. You will even see a picture of the WC Standoff's newest Stiletto fighter as well. Much thanks to Starman, Eder and Lynx of the WC Saga and Standoff teams for going out of their way to donate pictures to our cause. 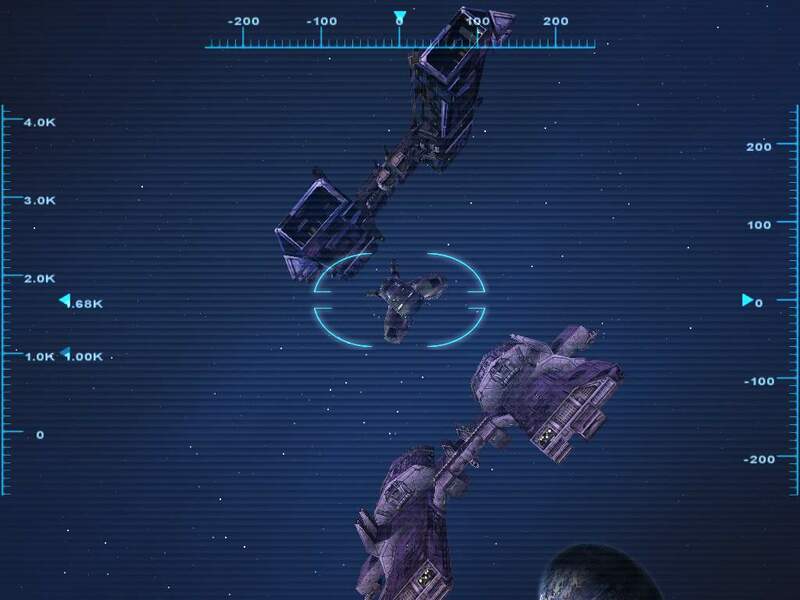 Their ships section now features very cool graphics thanks to the creations of the Saga and Standoff teams. Head on over and check it out. 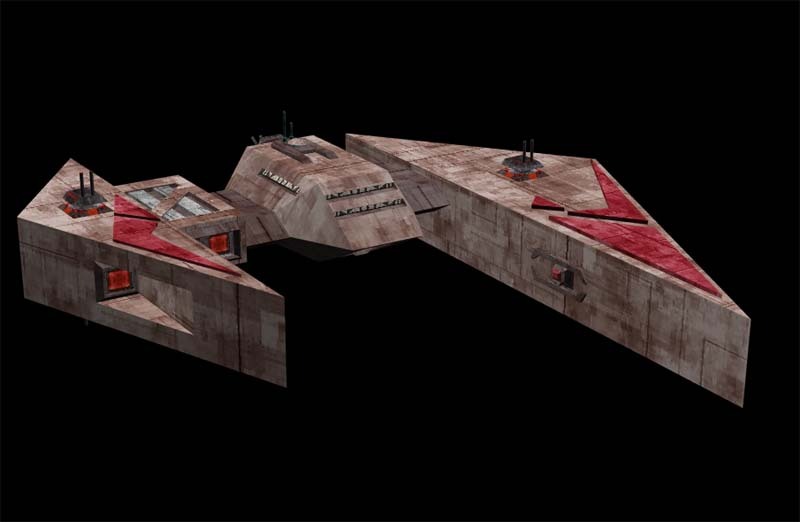 Back in June we showed you the first renders of Howie Day's Dralthi and Hornet models. Now, in celebration of our sixth birthday this past week, Howie has released the source files for people to use. The models are in Max 5 format, and are on our FTP. 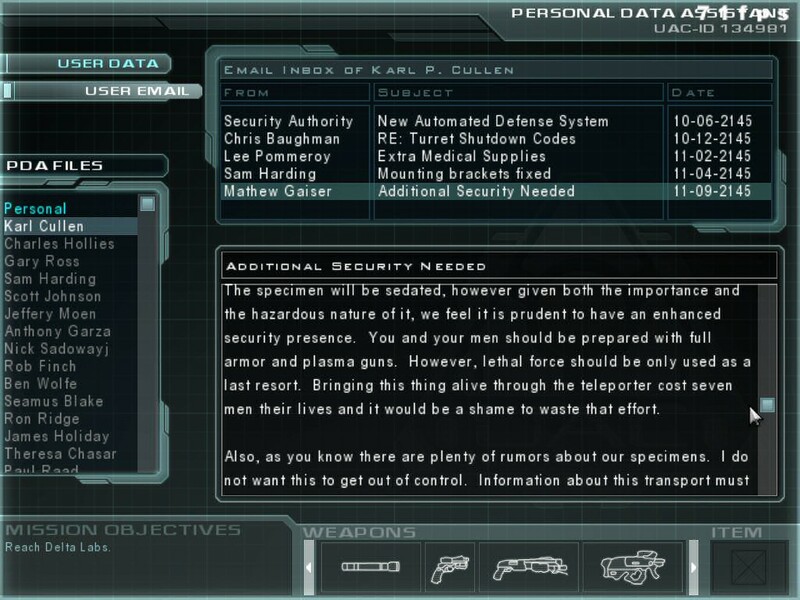 You can grab the Dralthi file here and the Hornet here. Although we didn't get word in time for Tuesday, the Standoff team created a special downloadable Stiletto fighter for people to try out. 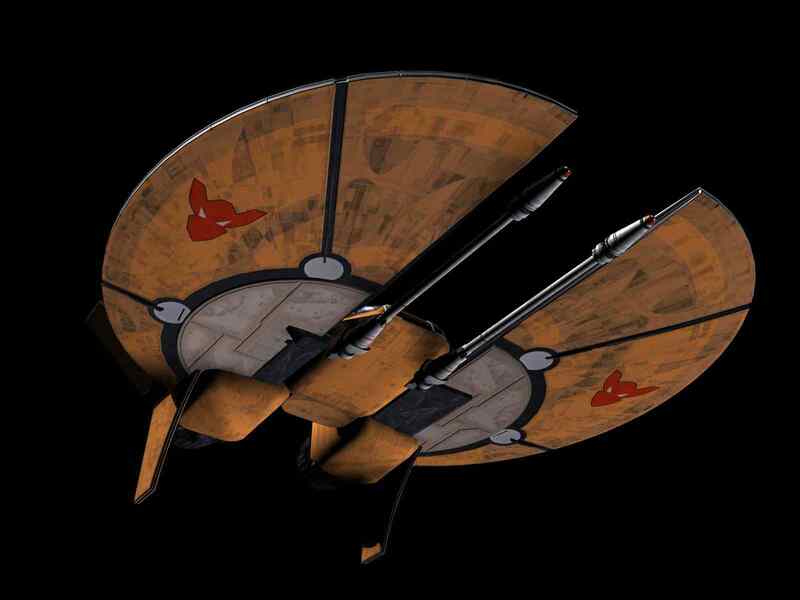 It is an improved design that will feature in the final Standoff campaign. 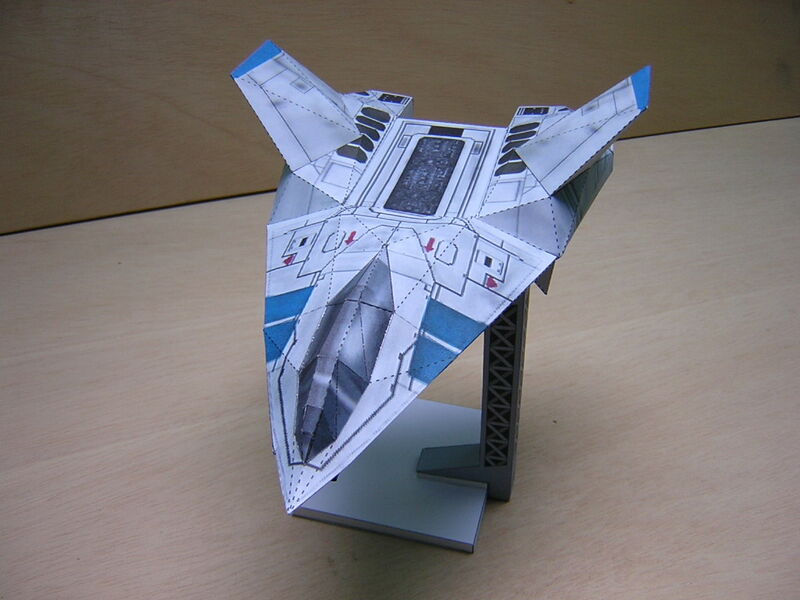 This one replaces the Panther in your current Secret Ops install and features a custom CIC Birthday paint scheme. You can grab the file here. It's a half megabyte file that unzips in the Secret Ops folder without disturbing your base installation. 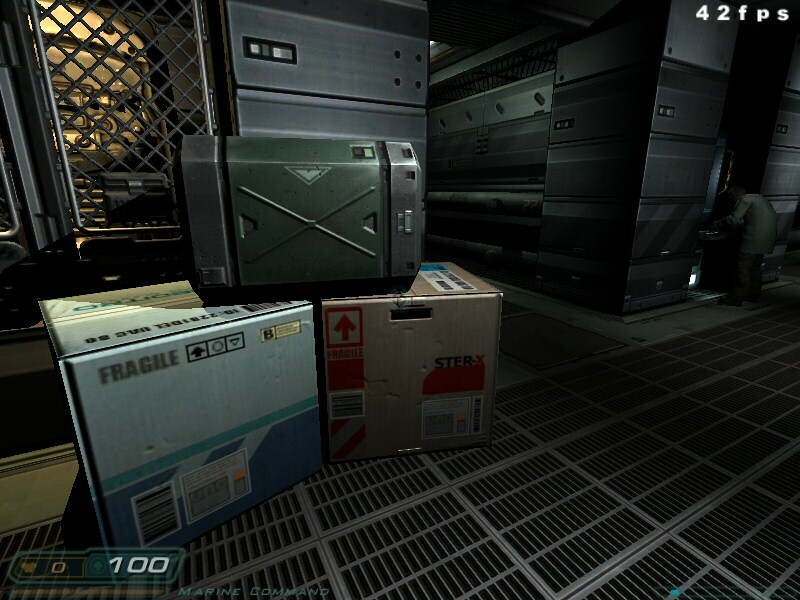 To help us with celebrating our birthday, the Unknown Enemy team have a present for you - the mod's source code! 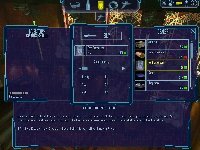 Now you can tweak things as you see fit, or if you're making your own mod you can have a look and see if you can learn a thing or two. There isn't much we can say about how to use it - you should have no trouble compiling it if you have experience with WCP Pascal... and if you don't, then you probably won't look too closely at the source anyway ;). You can download the source package from the UE site. 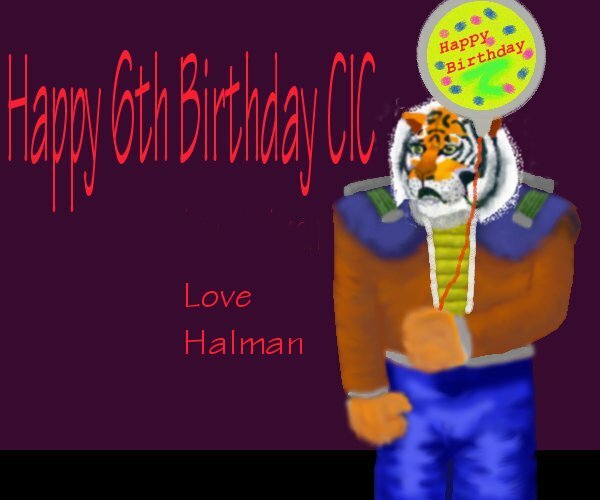 Halman sent us this picture for our birthday, and it also didn't make it to the main lineup. But now you can see it here! Thank you all who attended our Birthday celebration in #Wingnut this year. We peaked at 94 guests there, but about 150-200 filtered in throughout the night. I know some people had schedule conflicts and some people were living in Brazil at the time of the event, and we appreciate your support anyways. There will be other events in the future, and there's no need to wait until August 10, 2005. #Wingnut and Crius.net are always open. We gave twice as many prizes this year, and the winners should contact us to receive them. If your name is listed contact us with a good mailing address. Let us know if there's any discrepancy with the above data. A couple people have leftover prizes from previous events (Wedge, Natanya, THP). Feel free to send me an email if you're one of these people, otherwise I will try to send to what I have on file when the next batch goes out. If the item you won is a duplicate with something you already own, you can substite either a CIC Glass or deck of Playing Cards. If you attended our sixth birthday party, then here's you chance to relive the fun. Or if you didn't make it to the party then don't worry, we still love you, but perhaps you'll try harder next year after seeing what you've missed. The logs of the fun of a couple of nights back are now online. You can choose from either the regular log which runs from 10pm GMT until 4am GMT, or the short version which runs from 11pm GMT until 3am GMT. Times in the log are Pacific time (GMT-7). About half a dozen cool birthday updates didn't reach us in time or fell between the cracks in the pre-party chaos. Check in over the next couple days to see some great stuff people prepared for us! With all the party commotion, we didn't get a chance to list the top winners of CIC Trivia Game 5. Here's the top ten. The top four players win a pack of CIC Playing Cards. The rest of the top ten receive a CIC Pen. Email us with your address to claim your prize. 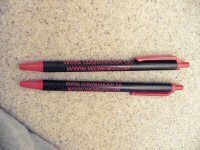 Players Anxiety, Jarlath Drake and Longshot were randomly selected to also win a CIC pen. 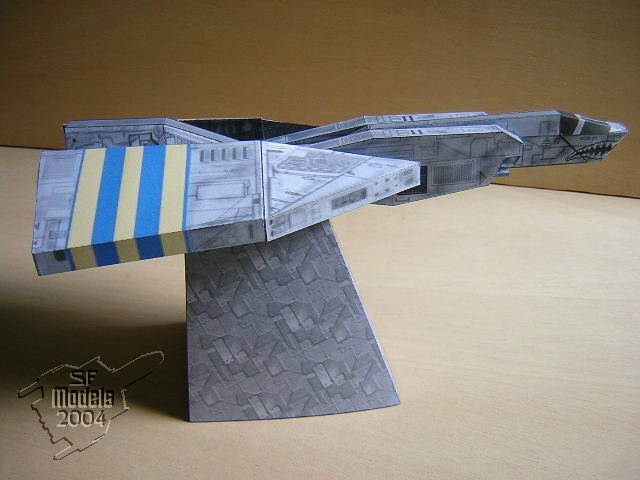 In the grand tradition of CIC Red (front page), CIC Blue (encyclopedia), CIC Teal (game guides) and CIC Green (ships) comes the newest CIC color - CIC Gray: the Wing Commander Archive. 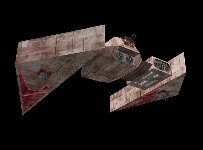 Our goal is to collect as much Wing Commander development and promotional resources as possible - scripts, design layouts, sketches, etc. And to start off the project, we've scanned more than three thousand pages of such documents - including the long awaited Wing Commander Bible and Prophecy Script! You can find it all here. Like music? Then you may enjoy a grand total of 128 Wing Commander mp3s, many of which have never been heard before! We've got rare licensed tracks from the movie, rare Cobalt 60 promotional tracks... and best of all we've got the entire soundtrack to the original two games, extracted from the Redbook Audio tracks of the rare Japanese FM Towns ports (84 tracks in all)! If you want all these at once, you can get Wing Commander here and Wing Commander 2 here... or you can pick and choose at the new albums page (includes scans of all Wing Commander music CD materials)! We've also arranged all the lyrics to the crazy Prophecy techno music! Want an idea of what we'll be working on over the next year? Look no further - we're going to be giving the Ships Section a much needed makeover! 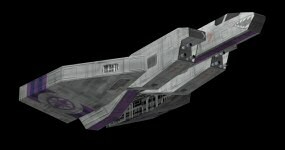 To show you what we're going for, we've gone ahead and revamped the entire Wing Commander 1 section. Click on to see the Confederation 2.0 and the Kilrathi 2.0 - now with writeups, accurate specifications and cool artwork! Tolwyn of the Wing Commander Saga mod has digitized high resolution versions of both the original Wing Commander 3 trailer and the fantastic Wing Commander 3 Making of video! I remember standing outside a Babbages window staring at that trailer as it looped over and over... these videos came out really well - they certainly put our old Wing Commander 3 Making of RM to shame! Dedicated readers may remember several months back when I revealed the story of the Warrior King - possibly the strangest crossover in TV history (and the only one involving Wing Commander). Basically, Star Trek's Michael Dorn played a 'warrior king' who travelled between all four of USA's saturday morning cartoons... starting in Street Fighter and ending in Wing Commander Academy. In the past, we've only offered the Wing Commander portion of the story for download... but thanks to PAL DVDs and eBay dubs the entire crossover is now available to you! And thanks to Killer for once again hosting high resolution Academy files! You're the best! 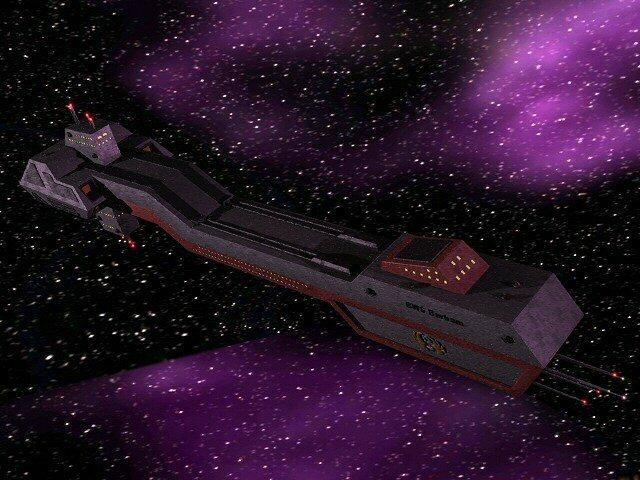 And as always, you can find Wing Commander Academy's Recreation episode (the conclusion to the crossover) here. Relive the entire epic (?) saga (?) yourself! All three episodes are encoded in DivX ;-) 5.11 and weigh in at about 200 megabytes each. 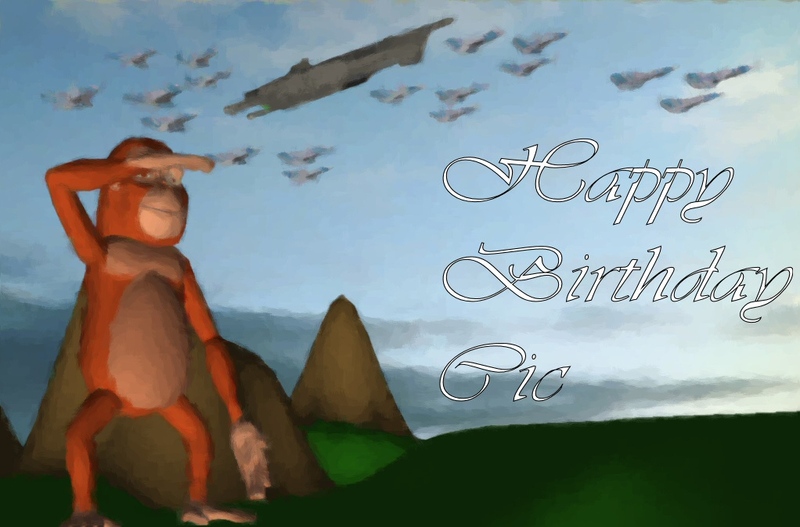 The teaser trailer the WC Saga team did last year's CIC Birthday was met with good feedback, but the biggest criticism was that there wasn't any plot to go with the FX, it was just a bunch of gameplay footage. Well, that's going to change starting now. This is the new Wing Commander Saga teaser trailer, with a strong emphasis on our flagship campaign, set in the events of Wing Commander 3. We made cutscenes and dialogue in a style that was of the Wing Commander 3 teaser trailer from way back. Stuff to say upfront: with the exception of the very last scene, everything is straight from the in-game engine. 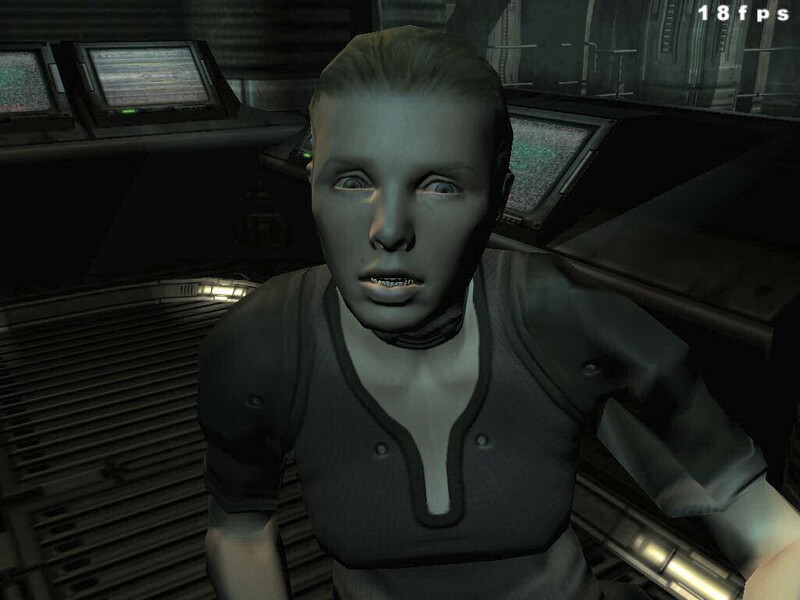 All the voices have been recorded by Saga voice actors and not ripped from Freespace 2. Music is just for trailer purposes only, it won't be in the actual game. 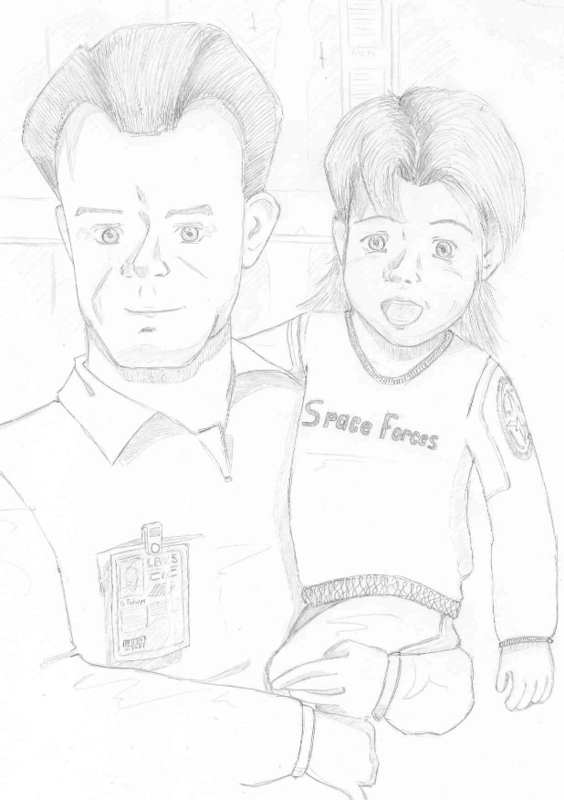 The Reckoning's Bob McDob checks in with an artsy reinterpretation of the final losing scene of Wing Commander III. He'd darned well better animate Pepper crushing someone's skull for next year! 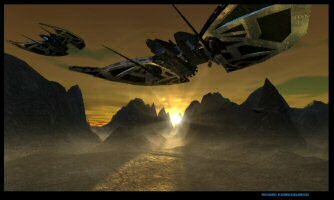 Tolwyn of Wing Commander Saga has submitted a second video for your consideration - but this one doesn't involve the FreeSpace 2 conversion. Phoenix, of the cancelled Rebel Assault Project, made this cool video of Lance's attacking a Kilrathi starbase. It weighs in at 1:55 minutes... you can grab it here (3.86 megs). He also did the cool 'balloon' CIC logo you see at the top of this page! Thanks, Filler! It's A Freakin' New Mail Bag! After taking a two year break to retool and refresh ourselves, the latest edition of the CIC Mail Bag has been released! You might not believe but, but each and every email is real. Visit here to see what's new. 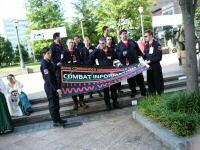 Check Our Our Dragon*Con Fun! 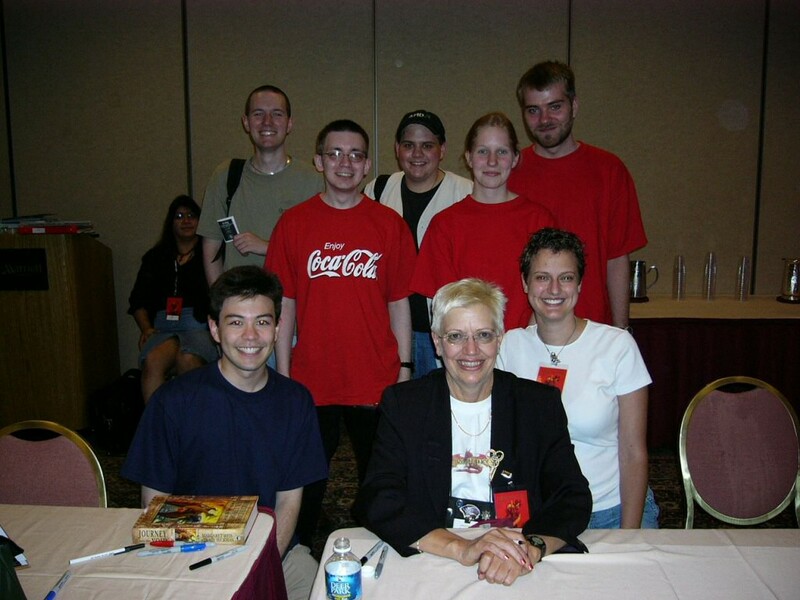 Sorry for the very late publication of the Dragon*Con 2003 Gallery. The problem this year was with the number of pictures we had to sort through after the convention. In 2004 we will be fixing this by doing nightly full galleries, so we're be ready to go shortly after the convention ends. Because the 2003 pictures will soon be out of date, we've decided to publish as-is. This just means we have less comments than we'd like, but we've mostly purged the duplicate shots and blurry images. It's a lot of fun to see. WC Saga: Fact or Fiction? 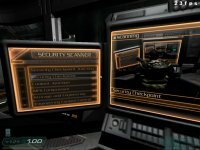 Viper61 has provided another exciting taste of the Wing Commander Saga mod for FreeSpace 2, with a sample of the fiction he's writing for the game! Here's what he has has to say about about it: "This is about a third of the fiction between two missions and was chosen for release as it has no relavance to the actual story line. This is just to wet appetites and to give people an idea of what to expect from Saga storyline-wise." You can download it in pdf form here (80k). For my money, it's very well done - thanks, Saga Team! Poor Raptor wasn't able to make tonight's party, but he sent us through this little present: Holding The Line chapters 188 and 189! In honour of the CIC's birthday, we're presenting an HTL double header, parts three and four of "Loud And Clear". As you've seen previously, a combined strike by three Confederation carrier groups has taken out an enemy dreadnaught and decimated its escorting battlegroup. The Nephilim are not beaten yet however, and are more than capable of hitting back. As before, these chapters are brought to you by the teamwork of Joe "Wraith" Guida of the Yorktown battlegroup, the Auriga writing team, and Shaun Rashid of the TCS Endeavour. Please send any and all comments Joe at captpowell1@earthlink.net, and he'll pass them along to his fellow writers. I also want to take this opportunity to pay tribute to the good work done by the CIC. It's been close to a decade since the last official WC product was released, and by all rights the WC community should either be dead or consist of a few people getting together to wax nostalgic about the "good old days". Instead, we've got mods like Unknown Enemy, WC Saga and Standoff (to name just a few) which are new WC games in all but name, we've got HTL approaching novel trilogy length, we've got RPGs, websites and fan made reference sources galore. And central to all that has been the CIC and its staff, who have supported the community generously with time, knowledge and resources. Happy birthday, and many happy returns. Thought you'd heard the last of the Wing Commander Saga team tonight? Not by a longshot! They've also done this fantastic movie-intro inspired wallpaper to promote the release of their game. It's available in either 1280x960 or 1024x768 format! Freelancer narrowly beat Freespace in our previous poll, each getting close to a third of the vote. If you combine the scores for Freelancer and Starlancer they win by a good margin. 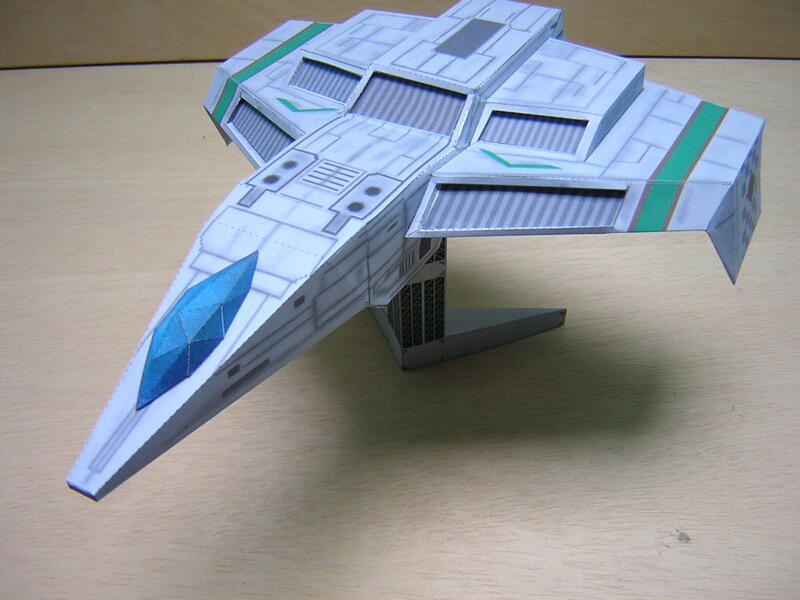 This time we'd like to know how long you've been a Wing Commander fan. Previous polls can be found here. You can send any poll suggestions to news@wcnews.com. Cyberion has made everyone some neat Confederation logo wallpaper in honor of the CIC's birthday. Thanks a lot! It really makes for a nice, simple, elegant windows background... and it makes me hungry for sponge cake for some reason. Grab it in 1280x960 and 1024x768 formats! We're currently giving prizes to the winners in #Wingnut. Official listings will be posted soon. The Wing Commander Saga mod has released these rendered screenshots of their new WC3-style corvette model - which they've named Kamrani-class in deference to the Unknown Enemy mod. That's some nice team work - and one hell of a model! Everything Looks Better... in 3D! There's even more from Tolwyn of the Wing Commander Saga. He's updated Wing Commander 3D six new models. 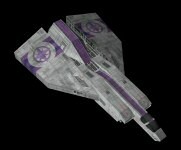 The models include two Arrow Vs (in regular and pirate varieties, an F-86 Hellcat V, a F-66 Thunderbolt VII, a Fralthi II cruiser and a H'var Kann-class dreadnought! Check them out! 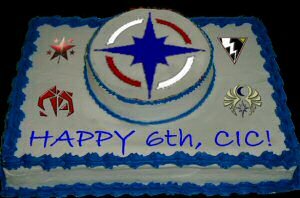 I'd like to welcome everyone to the Wing Commander Combat Information Center's sixth birthday celebration. It's really hard for me to believe that we've been doing this for more than half a decade... or that it's been so long since we were eagerly anticipating Secret Ops and the movie. It's even more amazing to me that after all these years we've managed to hold on to a community. Not just hold on to, but we've built a community that's better and stronger than it has ever been before. 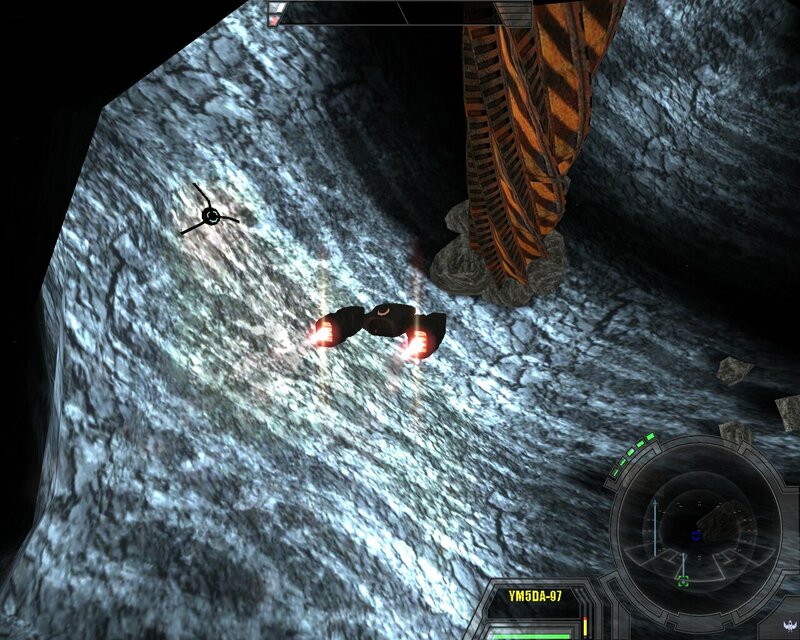 I know a lot of people will tell you that Wing Commander is dead -- but look around. It's been six years since Secret Ops came out, and we still get as many visitors each day at the CIC as we did back then. We still get as many posts to the chat zone each day. We still get as many new users impressed with the games. 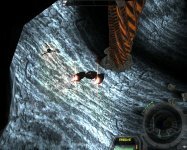 EA might not realize it yet - it might be years before they really get it again - but Wing Commander won't die. 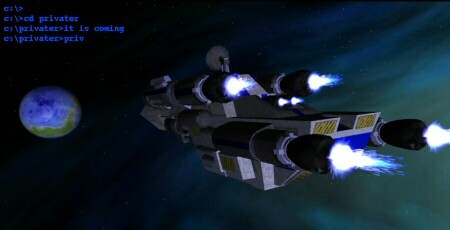 So, lets take a moment to recognize the people out there keeping Wing Commander and Wing Commander fandom alive. 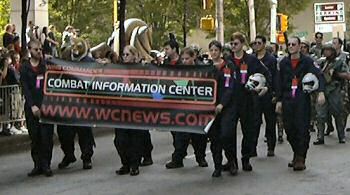 The CIC is just a small part of all this - we're a skeleton that helps keep this together, but we wouldn't be anything without the efforts of literally hundreds and hundreds of people around the world. 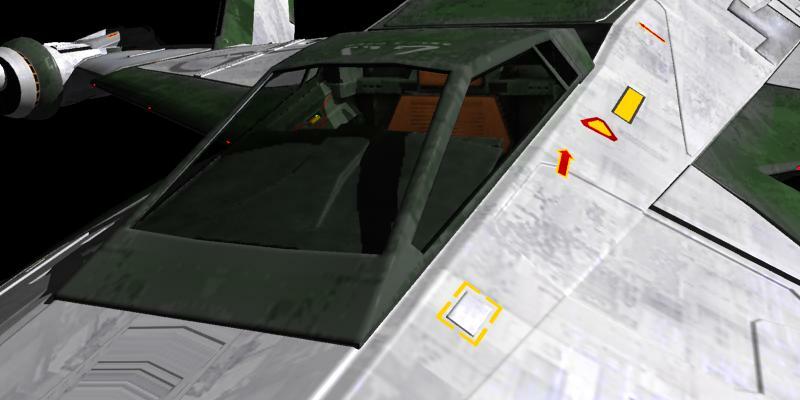 Certainly, nothing is higher profile than the big Wing Commander mods - Standoff, Saga, Reckoning, Unknown Enemy, Fleet Action and all the others. 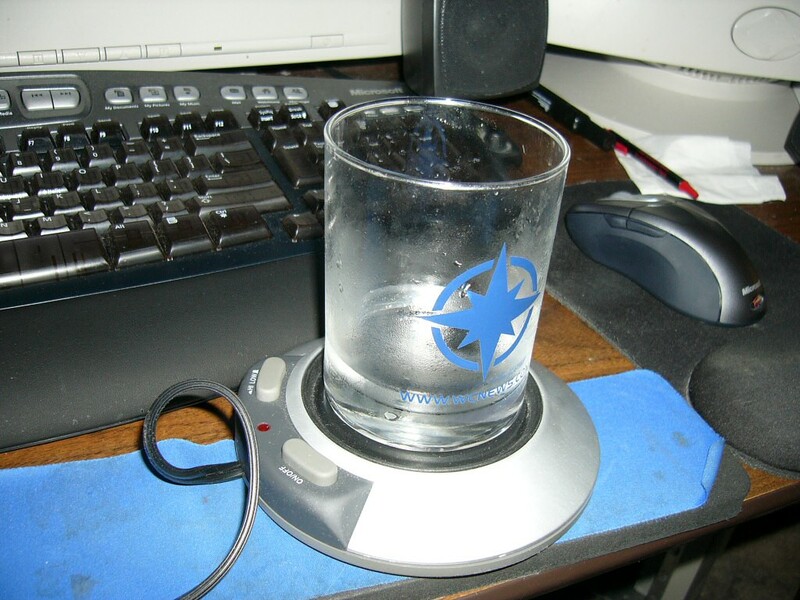 I'll tip my glass to any one of them - you're consumate, dedicated professionals with a damned noble goal. Hell, any group of people who can make Freespace look good deserves all the fame in the world. And thanks to all the communities out there! The alt.games.wing-commander newsgroup, the Ace's Club, #Wing-Commander on the DALnet, WC Revival, WingCenter and the CIC's own Chat Zone. 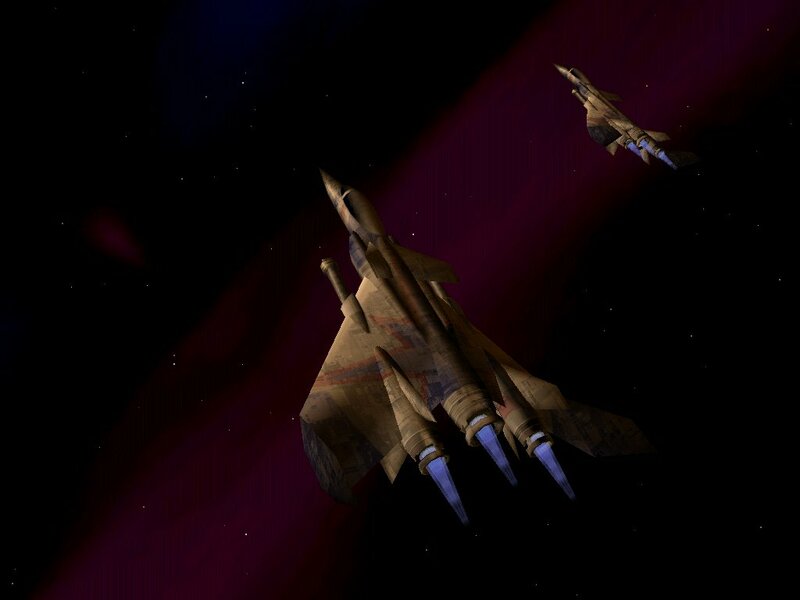 Nothing makes us remember Wing Commander like getting together and making real friends out of love and respect for the games. 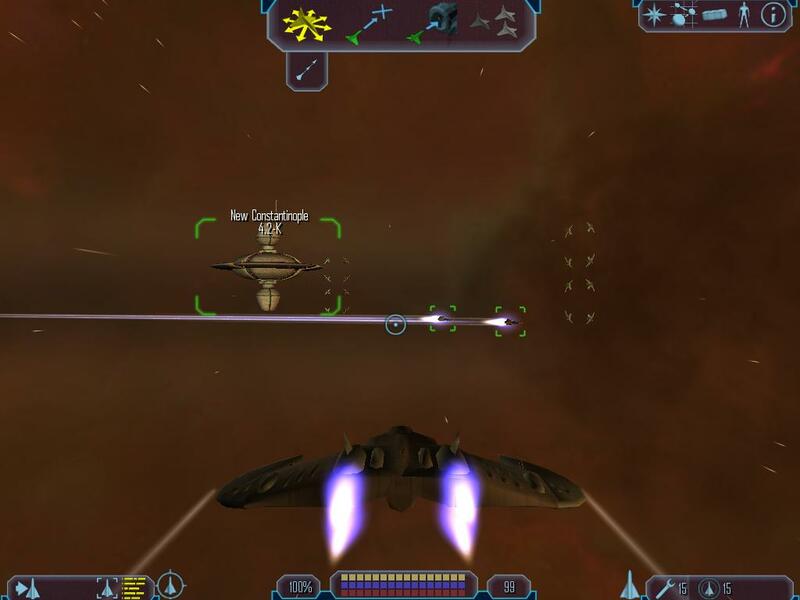 I've met my best friends in the world because of online Wing Commander groups. And to some of the unsung heroes: the guys out there volunteering their free time running tech support at the forums and elsewhere. Helping people run the games in modern Windows and fix their Prophecy sound acceleration problems is a tireless, thankless job that only a handfull of people are smart enough to do... but in my mind it keeps the games alive and shows the spirit of the community better than anything else. I'm in awe of the effort you guys put in - thanks. Its really sad, but the writing was on the wall once both Richard and I had left as there really weren't any strong creative wills left to drive the company or the worlds that Richard and I had created. It is doubly sad as I still love the Wing Commander world and on more than one occasion have told EA that I would be willing to shepherd / create another Wing Commander for EA - especially given what could be done with the state of the current technology - It has advanced significantly where I think I could really push the story telling and immersion into the world of the Confederation and the Kilrathi to a level never seen before... The sticking point has always been one of control... I'm not willing to be an in-house employee of EA in order to make another WC. I have offered to create the game with a team of free-lancers as an outside developer, but I think EA are a little worried about investing a large amount (which another WC would take) into an outside developer that they didn't have full control of. Who knows, EA may change their mind and I would be happy to put a team together to make one more WC for everybody, but in the meantime I'm pretty busy with all my film exploits that have being going pretty well. He's still out there - so are lots of other developers who love the series - and we're still here. Lets see what the next year brings. Anyway, stick around, we've got some pretty neat prizes to give out and some big updates to the CIC that I hope you'll all enjoy! 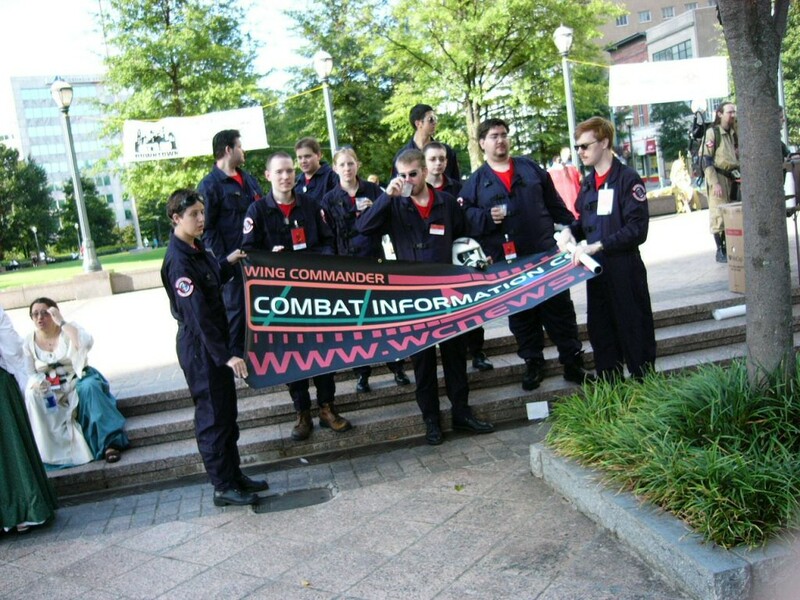 To the Wing Commander Combat Information Center's sixth birthday celebration! TONIGHT at 7:00 PM Eastern US (4:00 pm Pacific and 11:00 pm GMT) in #Wingnut! Weird Discussions About G Forces! You can take a look at all of the fantastic prizes here. If you need help connecting your IRC client just check our #Wingnut section, or just use our Java Client. 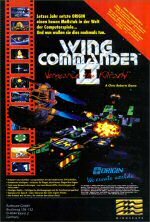 Wing Commander has always been exceptionally popular in Germany, moreso than in many other English speaking countries (thus German translations of many games, books and so on). Shagrath and Rylex quickly translated the advertisement from yesterday. Laserschwert and Malar also noticed that there were some typos and the ad was probably not made by a native German speaker. o An experience just like Cinema - you're the star in this story! 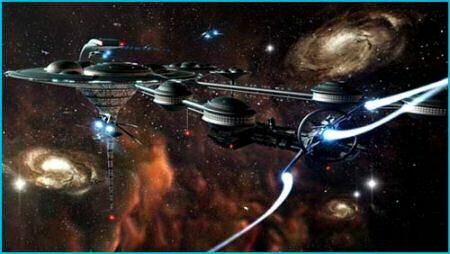 Question 10: Name the gas giant of the Kilrathi system in which the Tarawa hid in order to conduct repairs? You can email your answers to trivia@wcnews.com or fill out the form. This year's winners will be announced at the CIC party tomorrow, and winners will receive CIC playing cards. If you win you might even be able to choose between bridge size or poker size cards. We have both lying around. If you don't manage to be one of our CIC trivia winners, you can still pick up a prize. All you have to do is show up in #Wingnut during the party. Door prizes this year will include Game Boy Advances and copies of Prophecy Advance, CIC polo shirts, CIC playing cards, CIC pens, copies of the WC movie, WC4 DVDs, WC movie soundtracks, WC movie posters, WC movie shirts, WC movie action figures, WC novels and a Tom Wilson autographed Maniac photo. 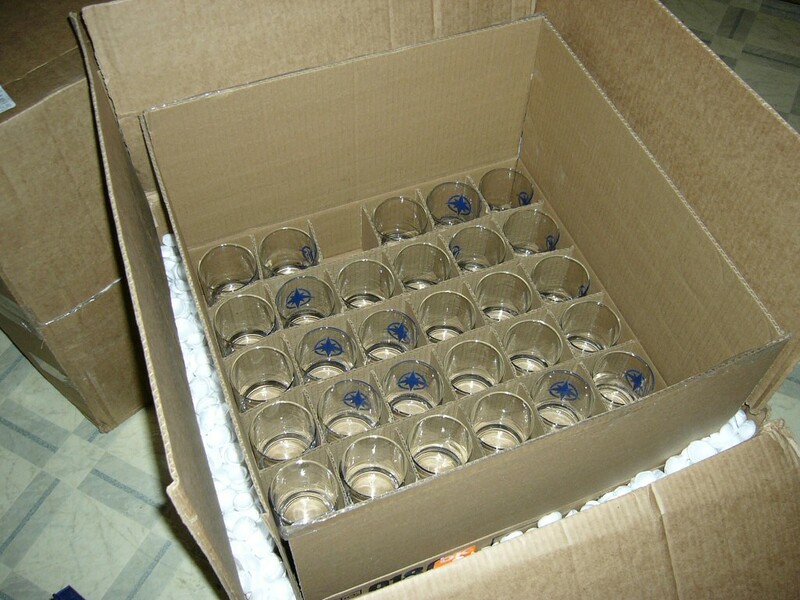 We also have some late additions to the prize list in the form of our newly acquired CIC glasses, and MNelson from Blacklance HQ is kindly donating some Star Trek games and CDs, and also a $25 Amazon.com gift certificate. Details on joining can be found in our irc section here. Feel free to stop by any time to get situated or hang out. We officially start the party on August 10 at 7:00 pm Eastern US time (4:00 pm Pacific and 11:00 pm GMT). 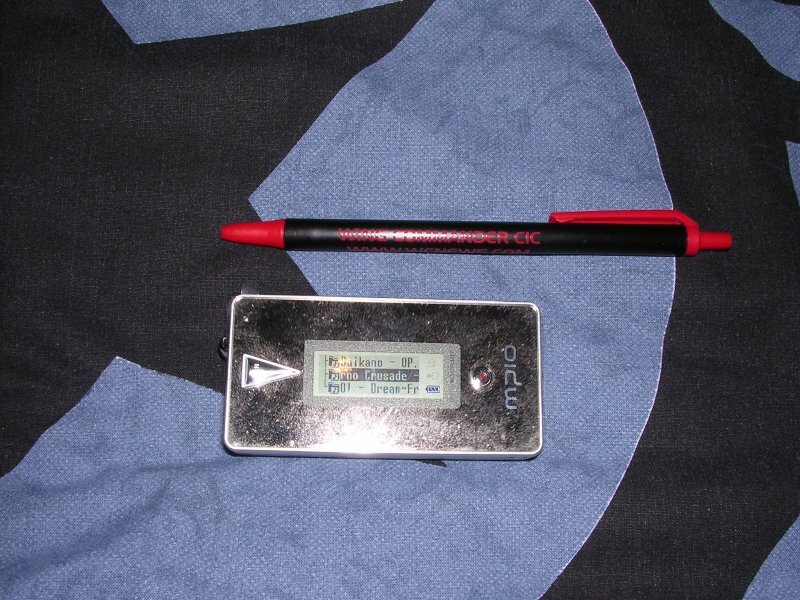 While TC was attacking search engines, he uncovered this little number on the German site Shadowfire. Apparently this advert ran in the May 93 edition of the German magazine PC Review. I have no idea what that German writing says, but it sounds like a great game! If you want to play WC on the SNES and can't understand English, then you probably can't understand this either. But if you do, then once again TC has come to your rescue! He came across this site which is attempting to create a rom patch for the game so you can play in French. The patch isn't actually complete yet but there are screenshots of the work so far on there so keep watching that space. Time has been going incredibly fast and we are now three days away from our biggest event of the year. I really look forward to the CIC Birthday as a refreshing point to collect ourselves, get some good work done and talk to a lot of CIC visitors at the same time. We have very busy schedules, so we never accomplish near as much as we'd like, but I think each year we put together some fun and interesting content to show off. Next week you guys will get to see some giant cool projects LOAF has been working hard on for many months. A number of dedicated fans have been working on other things that we'd like to showcase then. At the appointed time, we will be updating the front page with the new content for everyone to see. If you're not busy then, you should stop by our online party in #Wingnut at 7:00 pm Eastern US time (4:00 pm Pacific and 11:00 pm GMT). It's really simple to use the web chat interface if you've not been there before. I've taken a smaller role in the new content creation this time around, so I'll have a lot more time to host the party and see what you guys are up to. 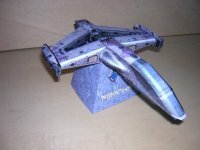 I'd like to hear your thoughts are on what the CIC should be doing and share my ideas on Wing Commander directly with fellow fans. I mentioned earlier that in addition to the aforementioned door prizes we'll be giving away throughout the event, there will be a few extra surprises. This one arrived just in time. We'll have a bunch of these to give away at the party. See you there! With the poor performance of many of EA's massively multiplayer PC projects, a lot of people have been waiting to see when the company will begin to leverage its hugely successful console titles for revenue. EA has long maintained free servers for its Playstation 2 online titles and all of their games will soon be playable through the XBox Live service. Next week Madden NFL Football 2005 is released for multiple platforms. In addition to the regular online gameplay, there will be a "package of paid subscription-level features." These include boosted online reputation points, highlighted names, personalized career pages, bigger leaderboards, a customized interface, exclusive medals and special access to tournament options. This will be free "by way of sponsorship by Dodge." Although they don't bill you, a credit card number is required to sign up. People without credit cards can pay $19.99 for the services via Paypal or similar methods. There are subscription based games and some XBox Live games offer premium download content available for a small fee, but this service differentiation is something kind of new. I find it the least appealing of the three fee based programs, but I have a feeling EA will find many paying customers in the years ahead. Madden alone is a guaranteed five million base sales, so only a small percentage of players need to take advantage of this $20 service pack to make it worth EA's while. Cyberion is on a roll after releasing his Drayman and Hellcat models. His latest work is the Confed Shuttle based on the WC3/4 design. There are two models, one low detailed, the other high detailed. You can grab the model files here. 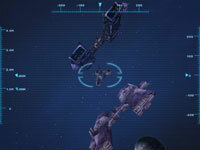 Early last month we ran a brief preview of an upcoming game called Void War. The game engine is loosely based on Wing Commander and they hope to include a multiplayer feature supporting up to 32 players. Now the game's developer Jay Barnson from Rampant Games has written to let us know that a trailer video for the game is available on the official site. I know we've been on about it all week.. but that's because just about everyone in #Wingnut has been playing it all week. The game isn't all Doom and gloom. Well actually it is, but there are a few bits that amused me. Mat Tschirgi from E-Boredom recently had a chance to conduct an interview with George Oldziey, composer for WCIII, WCIV, and Prophecy. The interview goes into George's WC composing experiences quite a bit and is definitely worth a read. E-BOREDOM: Before starting work on composing music for Wing Commander III, did you listen to any of the music from the previous Wing Commander games? GEORGE OLDZIEY: The only music from prior WC games that I listened to was the few select themes that the producer, Chris Roberts, wanted me to quote or emulate in Wing Commander 3. You may remember that there is a reference to the old Wing theme in a fanfare before the opening credits music for WC3. Also, there was some music from the old games that was used for "running to your ship" that Chris wanted to emulate. Other than that, I was pretty much on my own. I'd have to say that the great Star Wars and Star Trek scores that were out at the time were inspirational for me and for Chris as well. You can read the entire interview here. If you want more, you can also listen to an audio interview we did nearly six years ago in our infoburst section. Earlier this summer the French S.F. Models Annexe was reorganized and some of our previous links were broken. People are still looking for them, so here are the new links. The place has been spruced up with some nice Wing Commander music and a new paper model ship. There is now a very impressive Thunderbolt at the site. If you've got some spare time, these are very cool things to put together and display. I'm hoping to do one soon. Unless this game has consumed your life like it has a bunch of us in #Wingnut. Apparently WC Saga's old Thunderbolt model sucked, so Lynx and Lars put together a brand new one. This is the first in a series of upgraded fighter models that will be included in the final Freespace mod. It looks pretty slick, as usual. You can find more shots in the Joan's Fighting Ships area of Fleet Tactics and feel free to provide some feedback here. 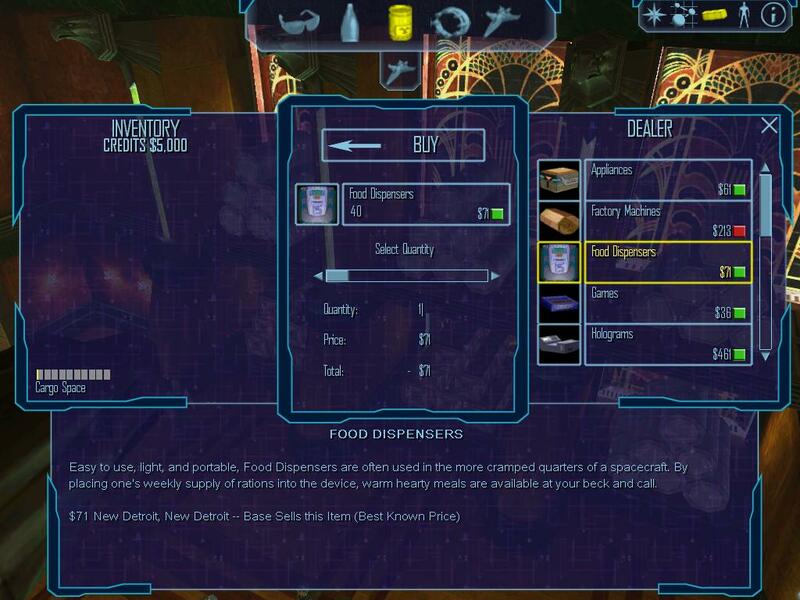 Lenny Raposo from the web based WC RPG Galaxy At War has sent a few more pictures that show some features that the upcoming game will have. Many people originally had questions about how ships and such would be simulated in the universe. The first screenshot below gives an example of this. I have been able to port over most of the stable code thus far without any problems. 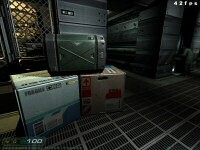 This screenshot will show the Local Map navigation view. Here you can see within short range sensors what is out there like planets, other ships, mines, starbases, tech dealers etc. This should be fun when it's ready. 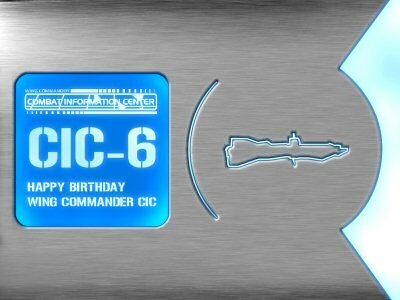 In a very kind gesture, Electronic Arts has coincidentally helped us promote the Wing Commander CIC 6th Birthday on August 10. EA is encouraging you to skip work or school next Tuesday and spend some time appreciating your favorite Electronic Arts franchise. Work? School? Summer camp? Or even lunch with Aunt Ida? Not if we can help it... Whether your predicament is jury duty, the chicken pox, or just a "one-day" flu, print out one of the PDF files below, and make sure you'll be right where you should be on August 10th. They've even provided the fake jury duty notices and doctors' notes. Isn't that nice of them? The CIC Birthday is just one week away and we hope you can join us in #Wingnut for the event. We officially start the party on August 10 at 7:00 pm Eastern US time (4:00 pm Pacific and 11:00 pm GMT). We'll have a bunch of cool prizes and surprises for people on that day. If you've never used irc before, just use our simple Java interface to check things out and join us. Feel free to stop by earlier to confirm the times in your zone and hang out. This is the final week for summer trivia. Answer the following questions and the winners will be announced at next week's CIC Birthday Party. You can email your answers to trivia@wcnews.com or fill out the form. Good luck! Yay, Doom's out. Now there's finally a reason to upgrade your computer beyond Wing Commander Secret Ops (if you're not into Command & Conquer). 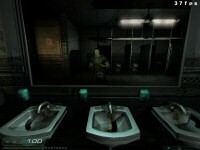 I'm too afraid to progress to a point where there are actual monsters, so here are some pictures of the bathroom. I was testing 800x600 and medium detail when I grabbed these. A lot of people have been getting back into the WC4 DVD since gulikoza developed a patch to get it to run smoothly without special Creative hardware. Although the game works great for most people, joystick problems are on the list of more common problems. Crius poster Vesper found a quick fix for some of those problems. 3) Set "Preferred Device" to your USB joystick. (This defaults to None). That's it. 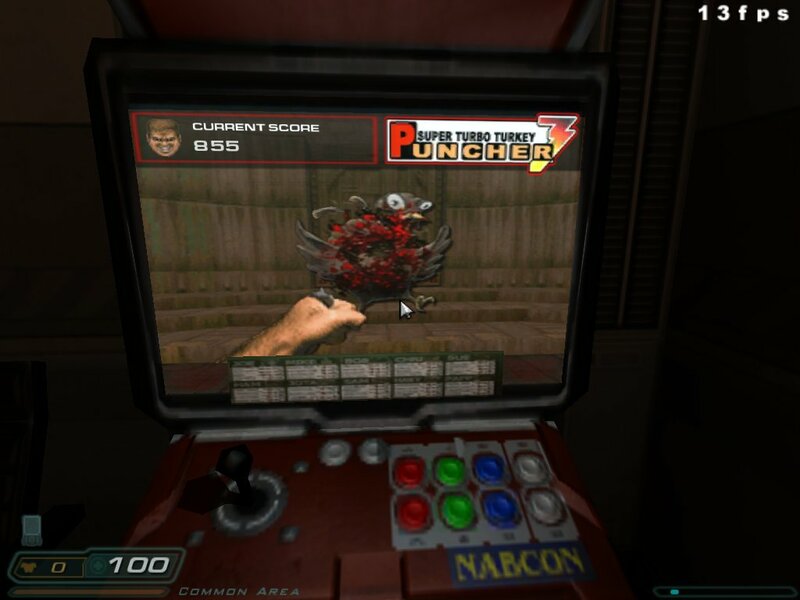 After I did that, the joystick worked immediately in the game.. Woo! Pretty simple solution for an annoying problem. Trivia Week 5 will be out tomorrow, so get your Week 4 answers in tonight! You can find the old questions and submit your answers in our Trivia area here. Tomorrow's new questions will be the last set in our summer trivia contest. 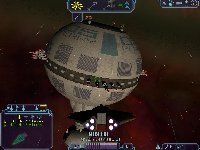 The Star Trek Armada based Wing Commander mod 'Invasion' has been on and off again over the last few years, but their team has decided to give it another push. Greetings, my name is trenthowell, and I am the newest team leader for the Wing Commander Invasion mod for Armada 1. 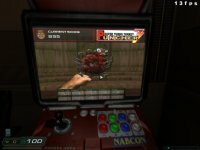 This mod has gone through a number of revivals and subsequent deaths. In that time however, 3 of the 4 sides were finished. Only the Kilrathi still remain. About a month ago I got an urge to pick up WCI and finish it. I went to the forums of SGN and collected a pretty good size modding team. We're now up and running again, and looking to be well on our way to getting the Kilrathi side up. More info is available at our forums. It's always good to see mods actually get finished, so hopefully they can wrap things up soon. 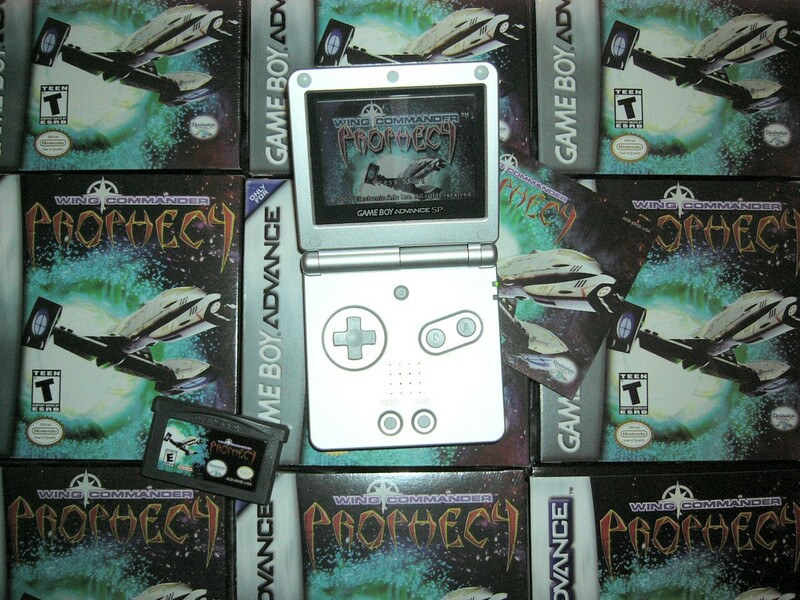 Starman has noticed that Prophecy Advance has been added to Amazon UK's Summer Deals. It's dropped from £29.99 to £12.96. That's a pretty decent price. You can get it for a few pounds less on eBay, but some people may prefer to go with Amazon for various reasons. Get it while it's hot! Typing errors are one of those things that you have to put up with on the internet, but most of us expect more of a multi-million dollar movie. 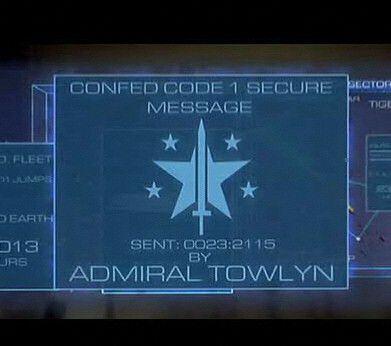 But how did the message from Admiral Towlyn slip past without anyone involved in the movie noticing? Fans spotted the error straight away, but now thanks to Cyberion we actually have a screenshot of the error. And what the heck is that "Sent:" date supposed to mean?